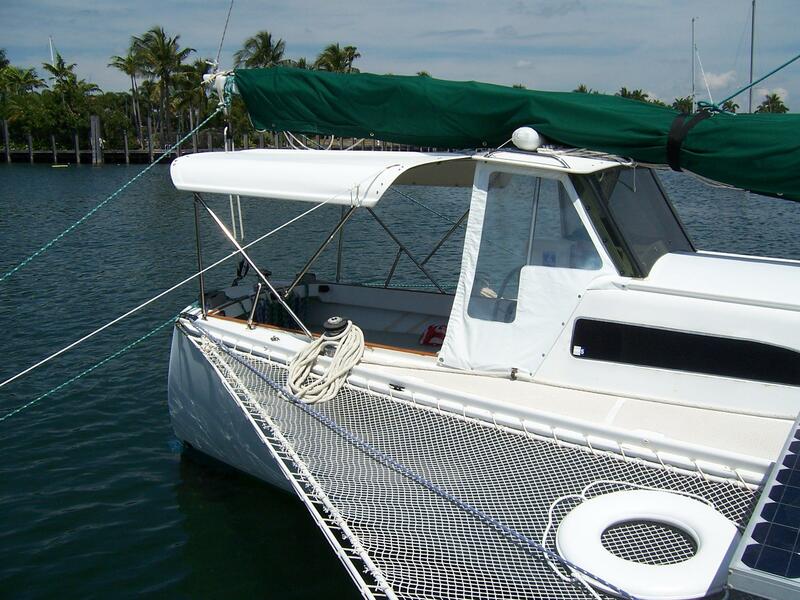 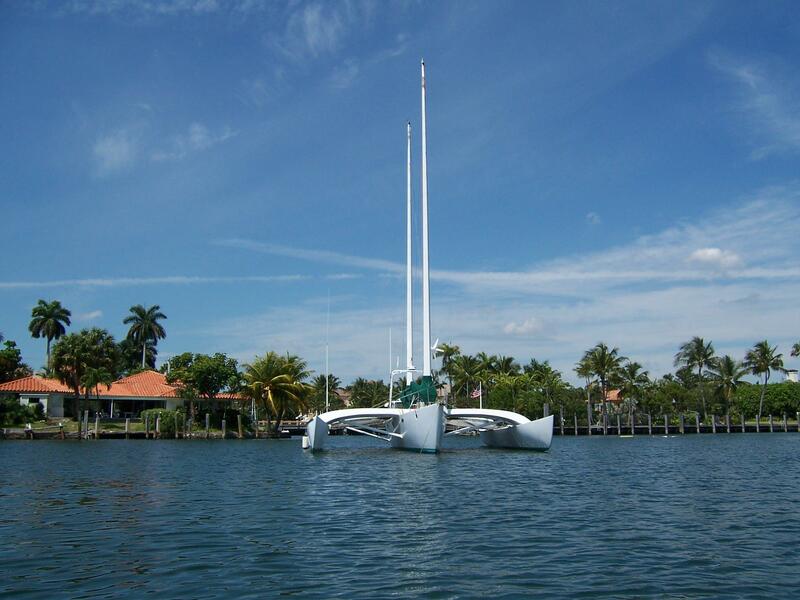 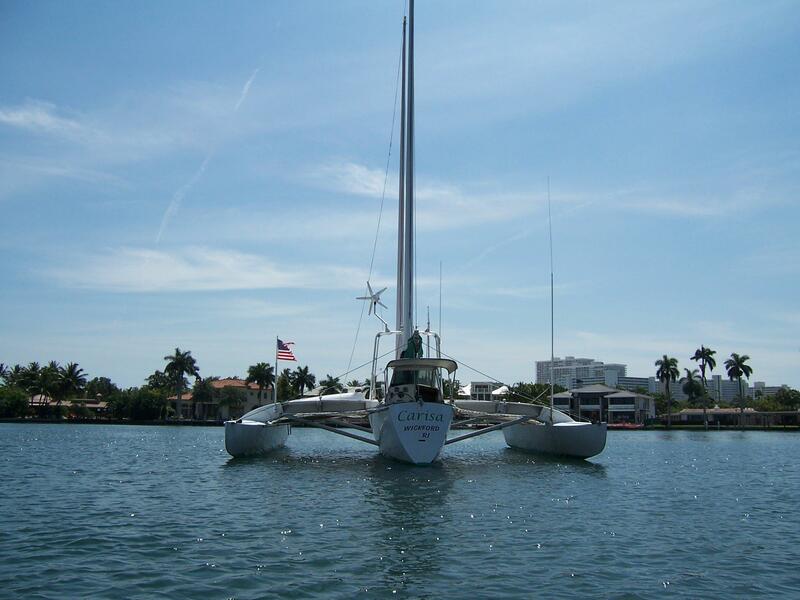 This proven, safe, and fast ocean-cruising Trimaran, beautifully maintained and continually up-graded has now reluctantly been placed on the market by her knowledgeable owners! 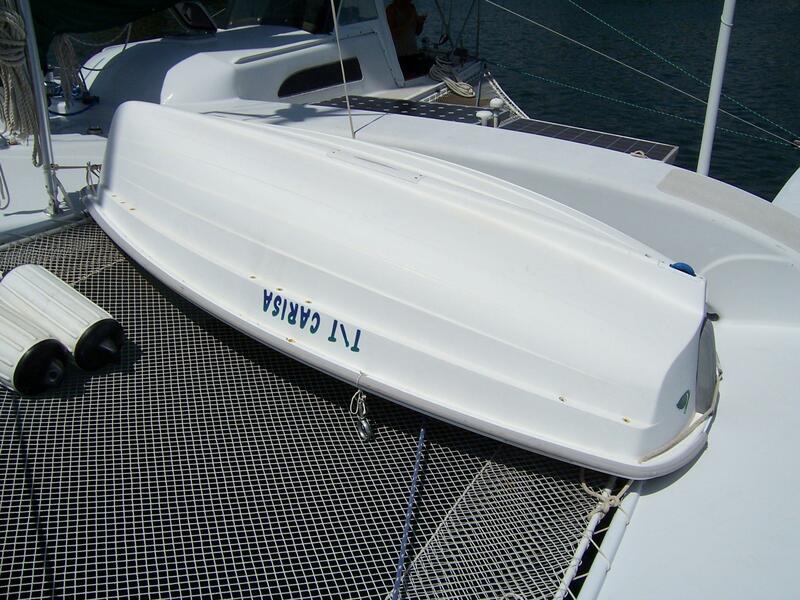 The Chris White 55 is a great daysailor and able to make extended ocean passages as a very quick, safe and easily handled vessel. 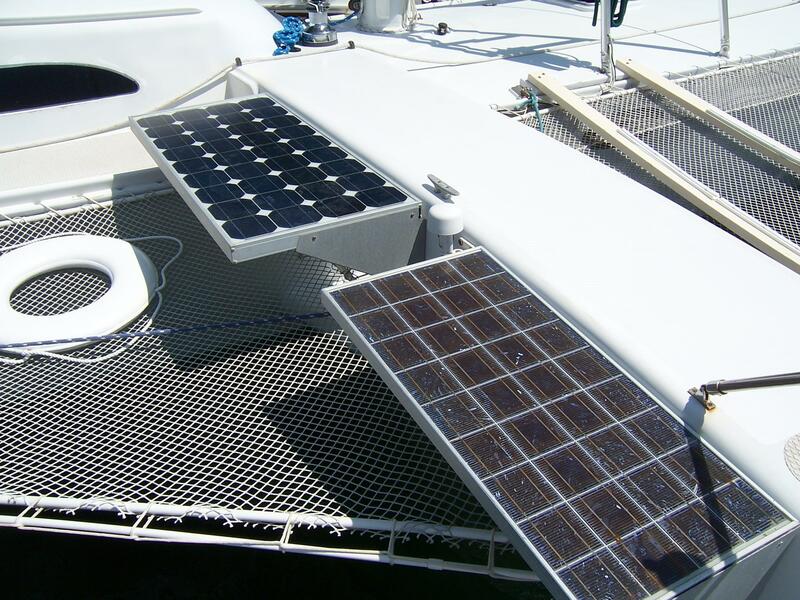 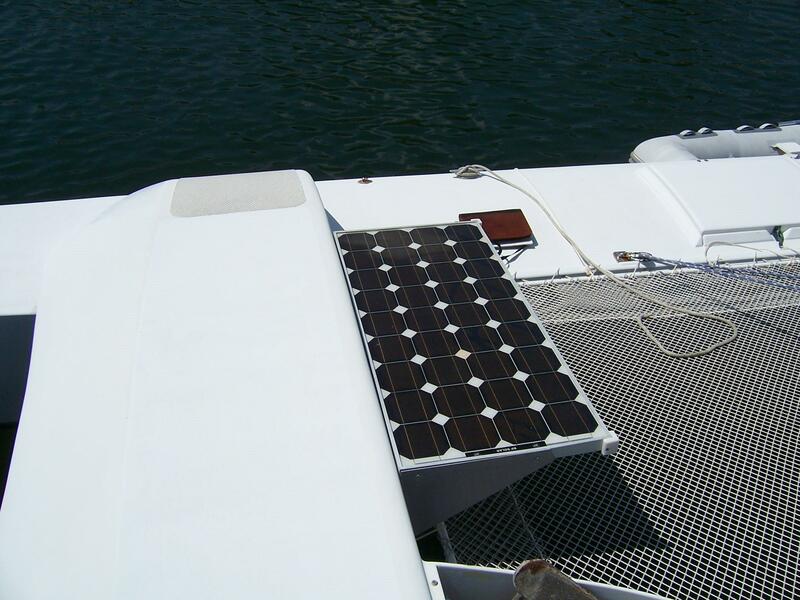 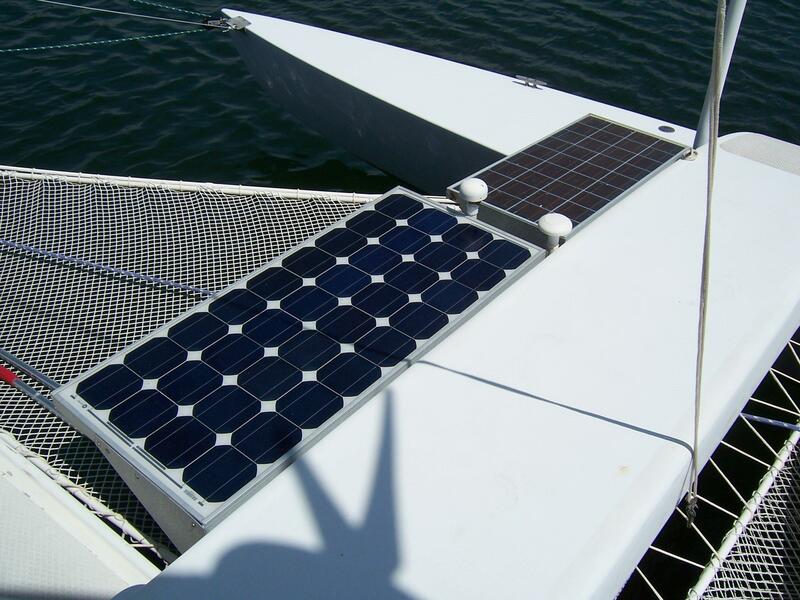 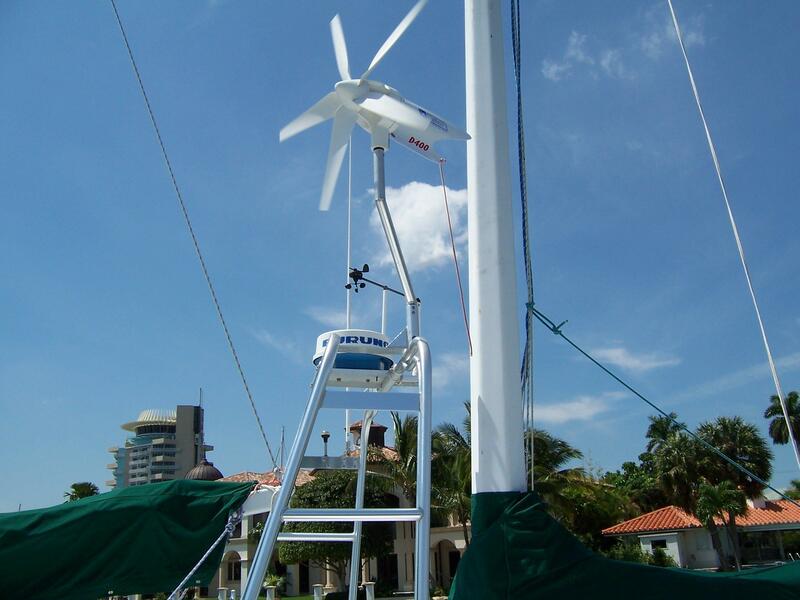 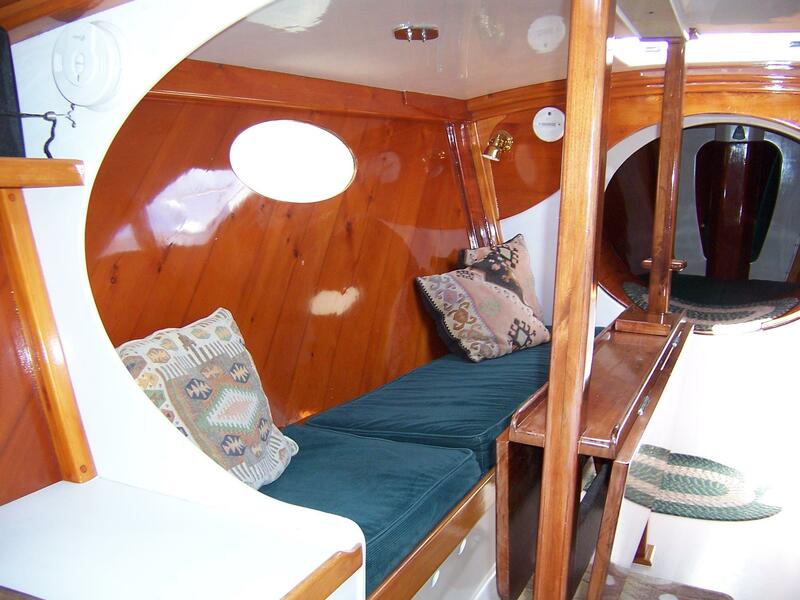 She is equipped with a very comfortable and seamanlike interior with attractive natural timber finishes, solar panels and a wind generator for electrical self-sufficiency and good ventilation. 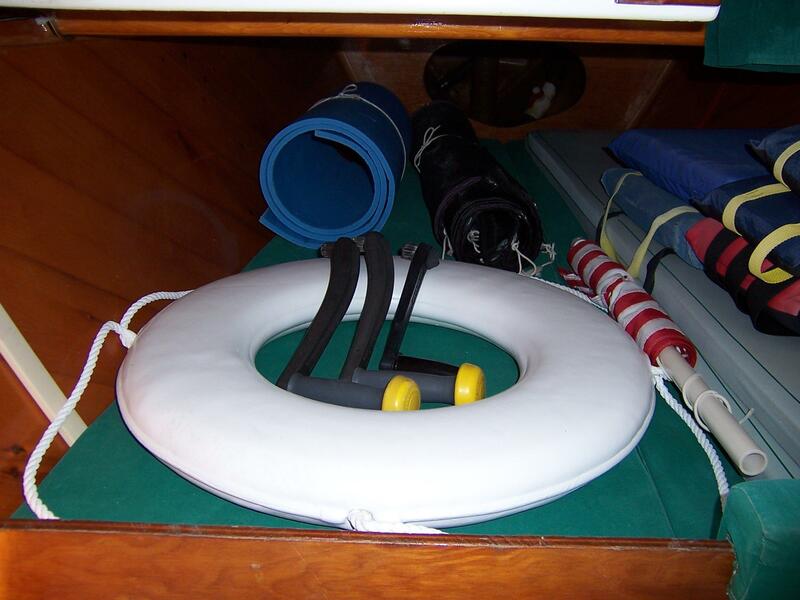 The designer commented that “she is long in order to provide comfort sailing in the ocean, wide for stability in extreme conditions, but simple in construction, accommodation and systems. 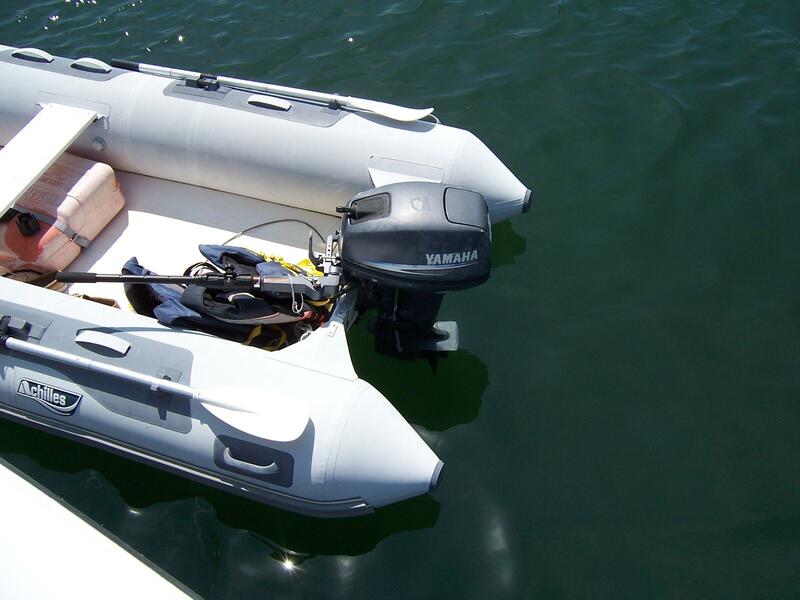 She’s an excellent performer, and has a very comfortable motion in waves”. 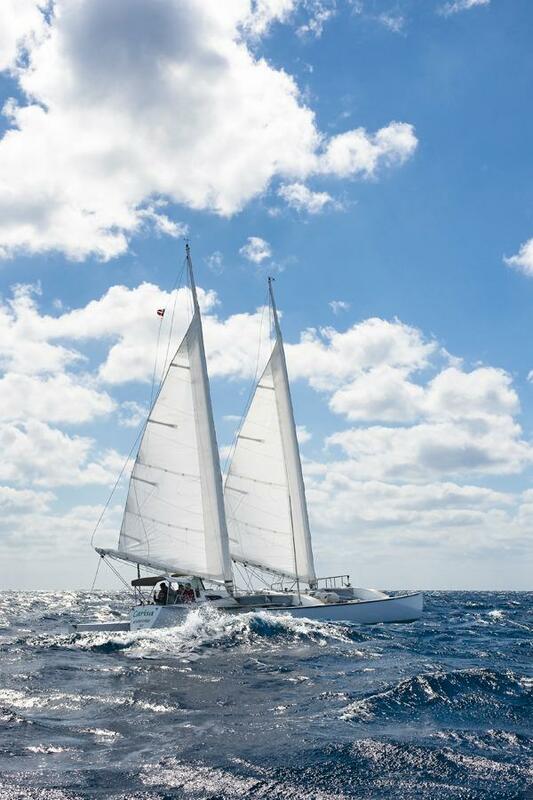 The concept of the Juniper 2 is a new design incorporating several refinements and improvements from her predecessor. 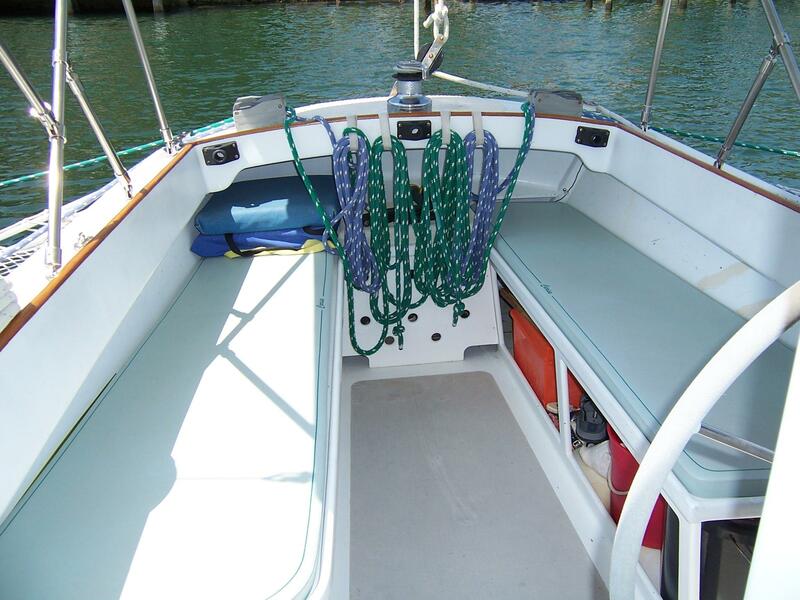 She is wider overall, has a longer and finer bow, and uses a balanced spade rudder instead an outboard hung rudder. 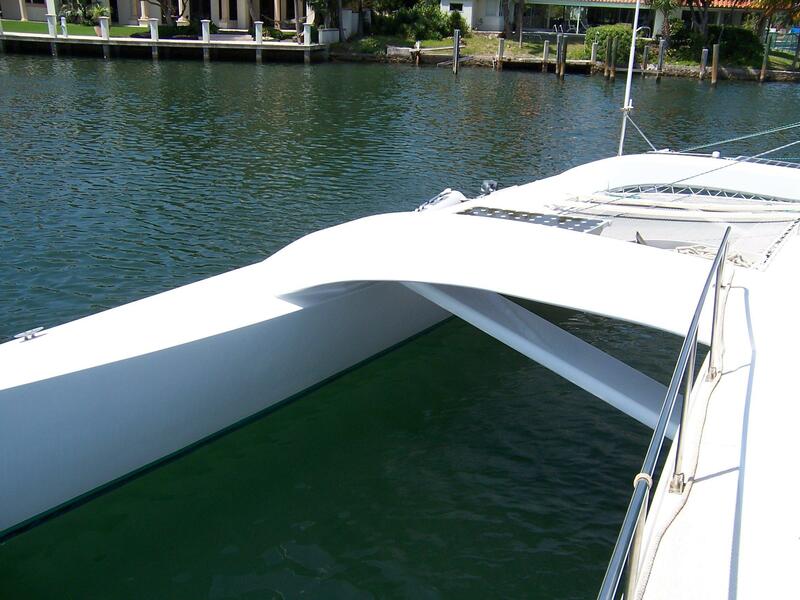 Aesthetic details such as the crossbeams and their fairings and the sheer line were refined. 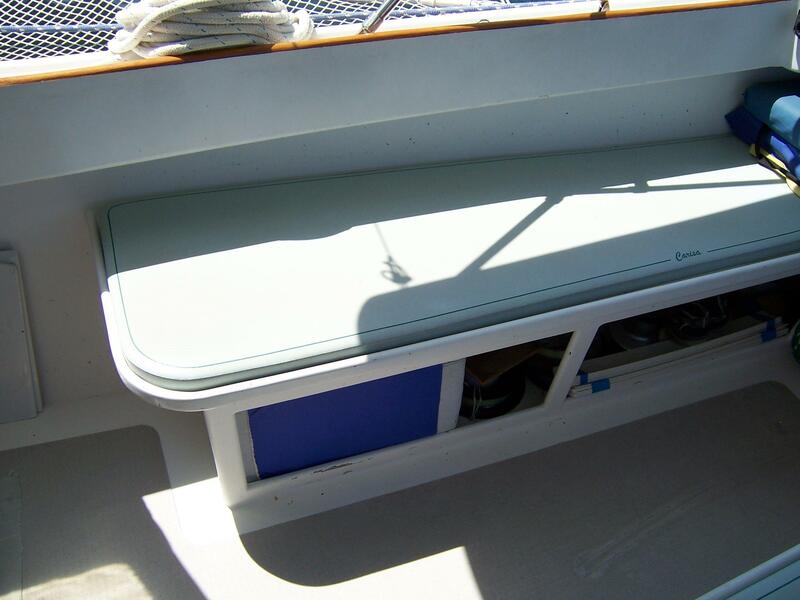 The hull underwater shape has less wetted surface than the original and the fin and rudder sections were refined for less drag. 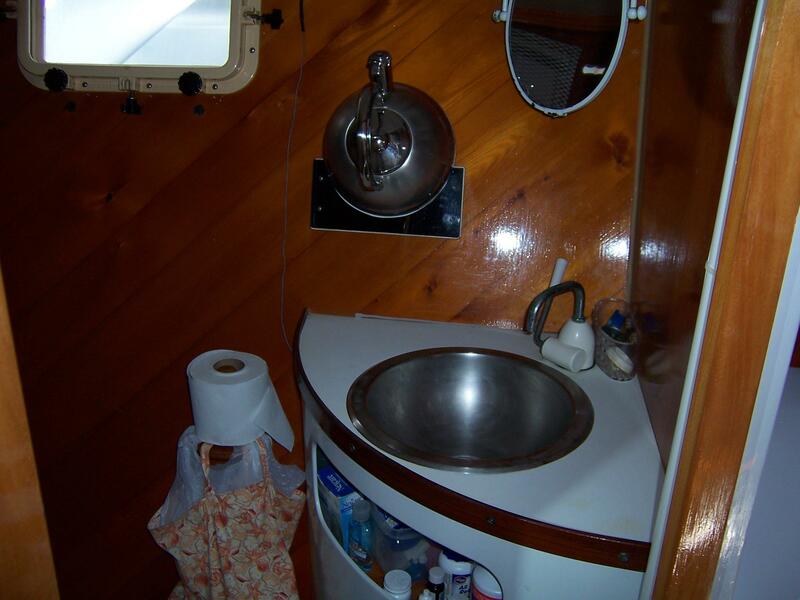 The interior layout was refined to increase elbow room and now incorporates a dedicated shower stall. 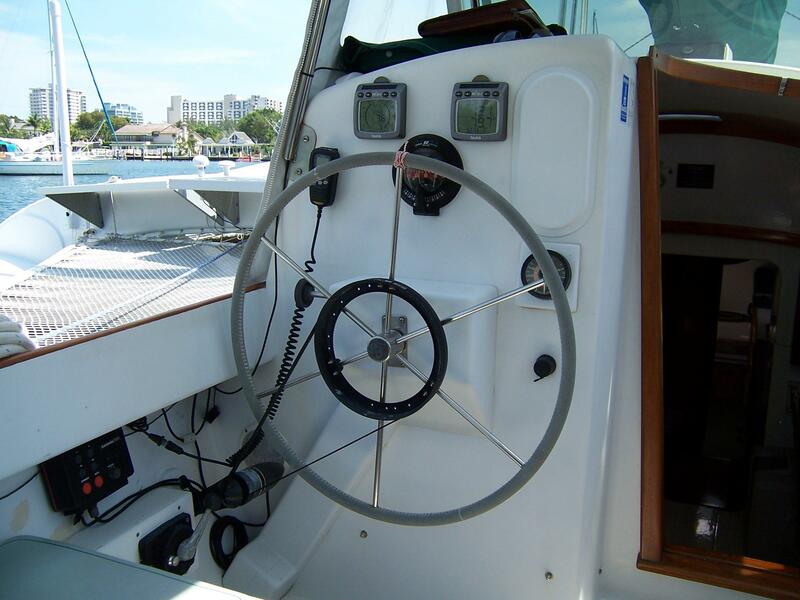 Incorporating a ketch rig that is an absolute joy to handle, tacking is a matter of just turning the wheel. 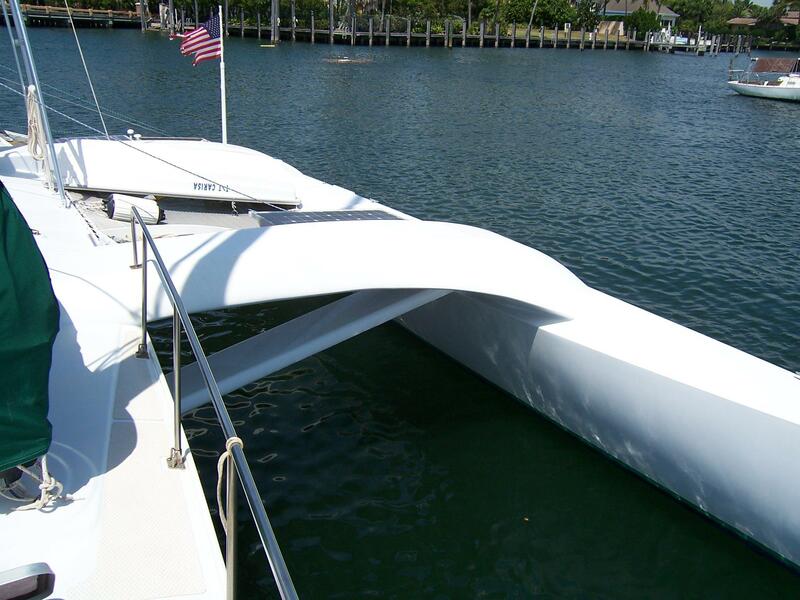 The crossbeams are very high above the water and there are no cabin projections beyond the hull sides. 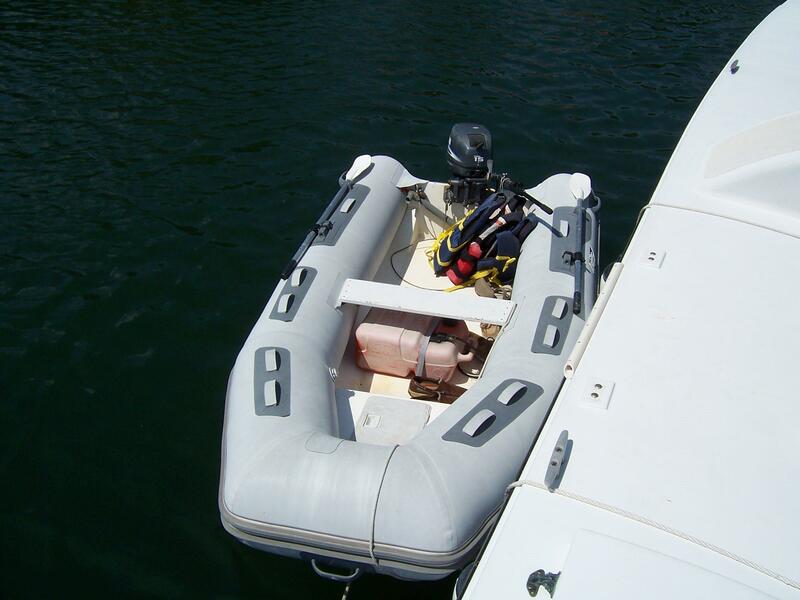 These features eliminate pounding in rough seas, contribute to her comfort underway, and was designed and built for safety and survivability offshore. 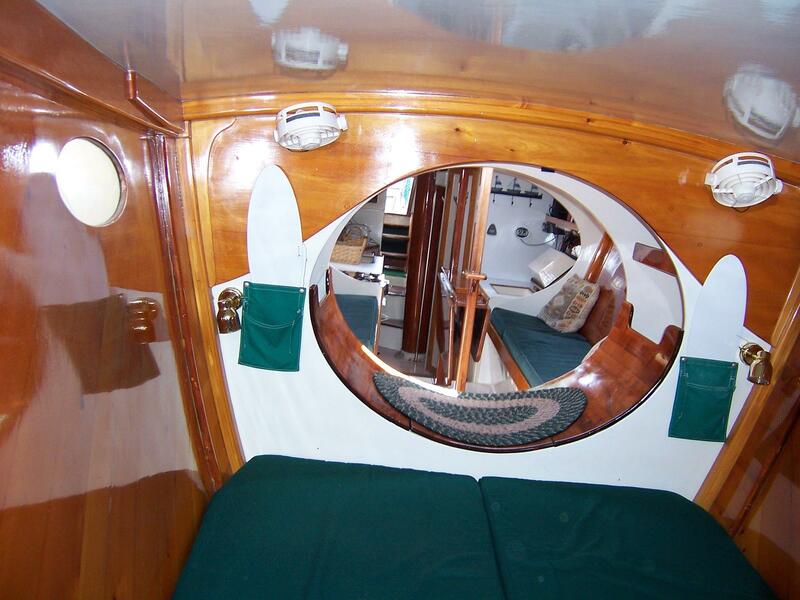 Her interior and exterior finish is excellent. 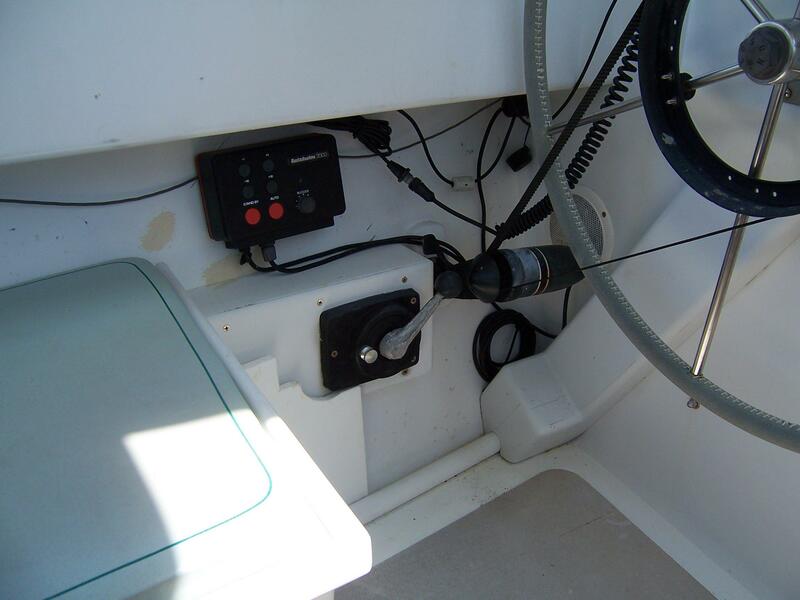 All systems and equipment were installed and have been carefully maintained and upgraded with an eye for simplicity, reliability and serviceability. 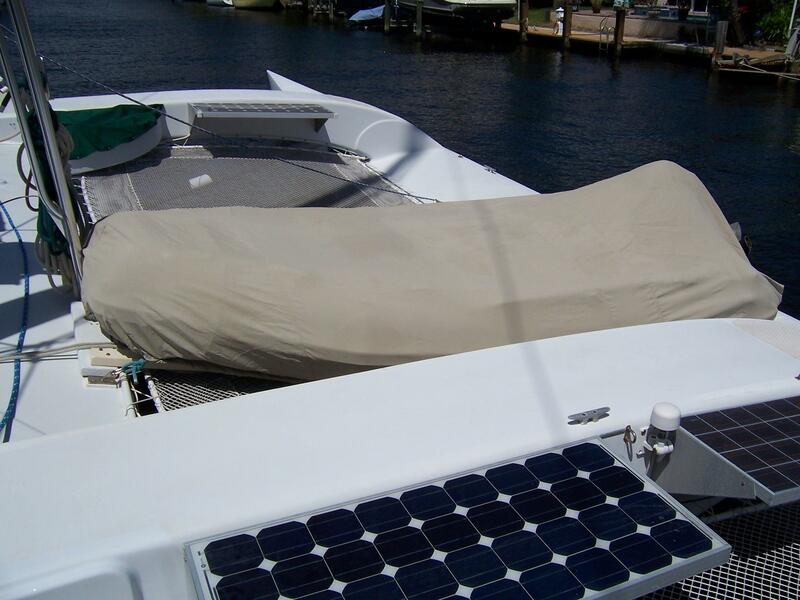 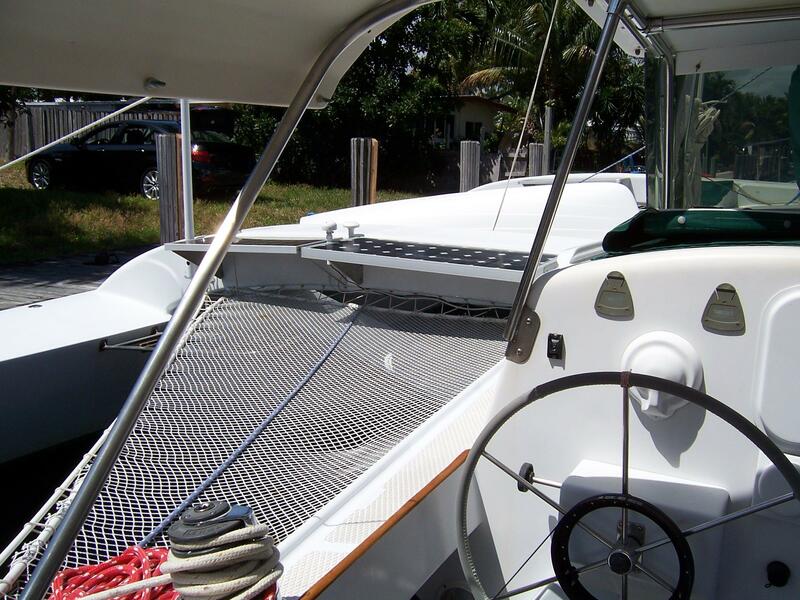 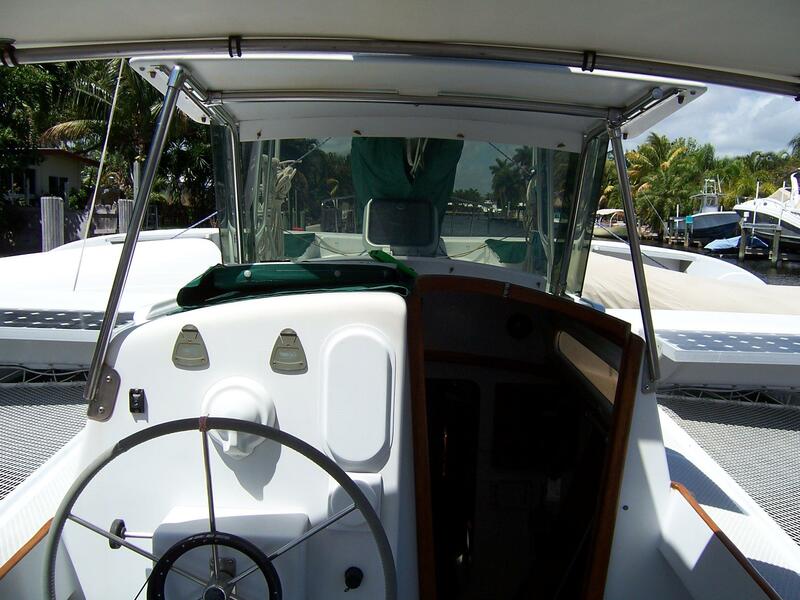 As you enter the cockpit area, you will find comfortable seating on both sides, and a sun-blocking custom hard bimini, and removable side curtains. 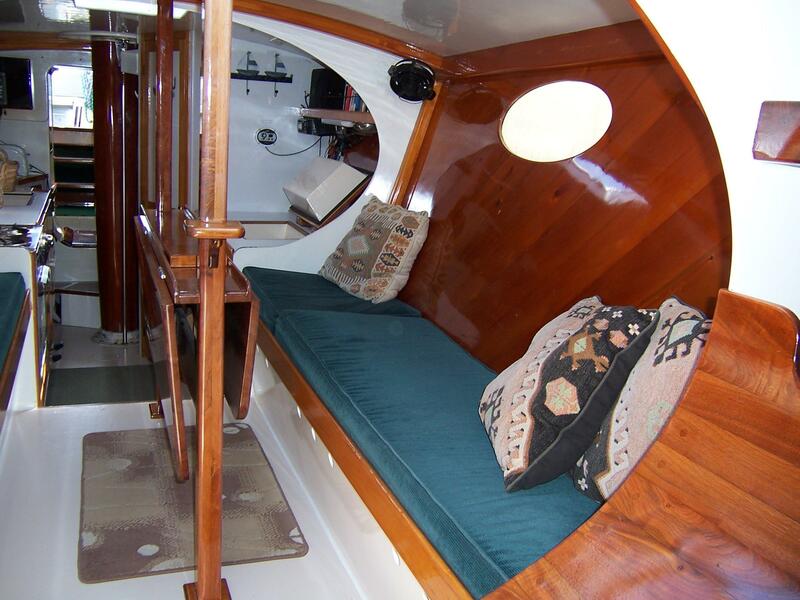 The protected helm is well situated to the port side of the companionway which leads to the main cabin, where the accommodation spaces are attractively finished with varnished Alaska yellow cedar hull surfaces and wood trim throughout. 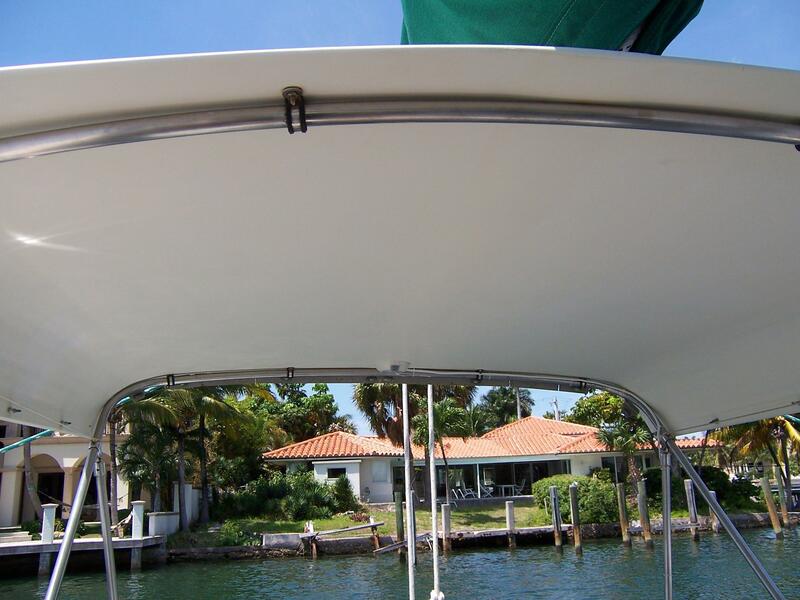 The overhead and bulkheads are coated with polyurethane paint. 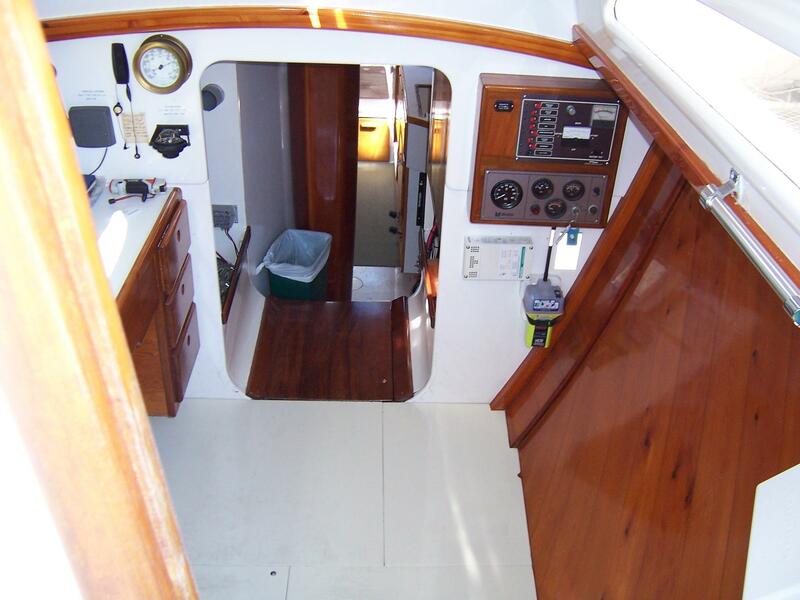 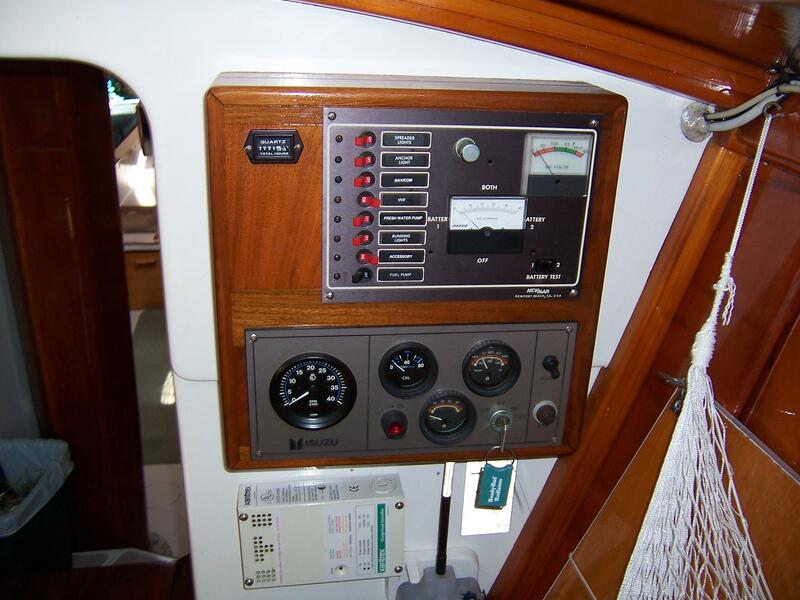 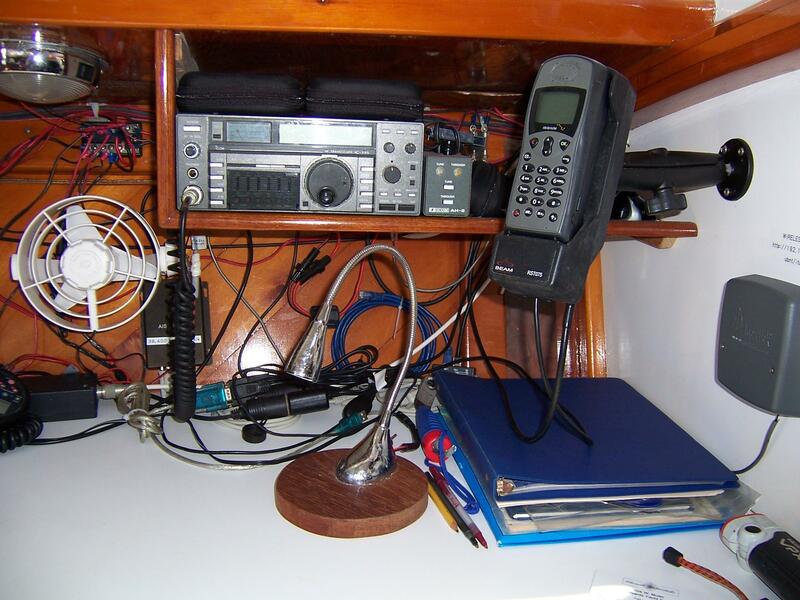 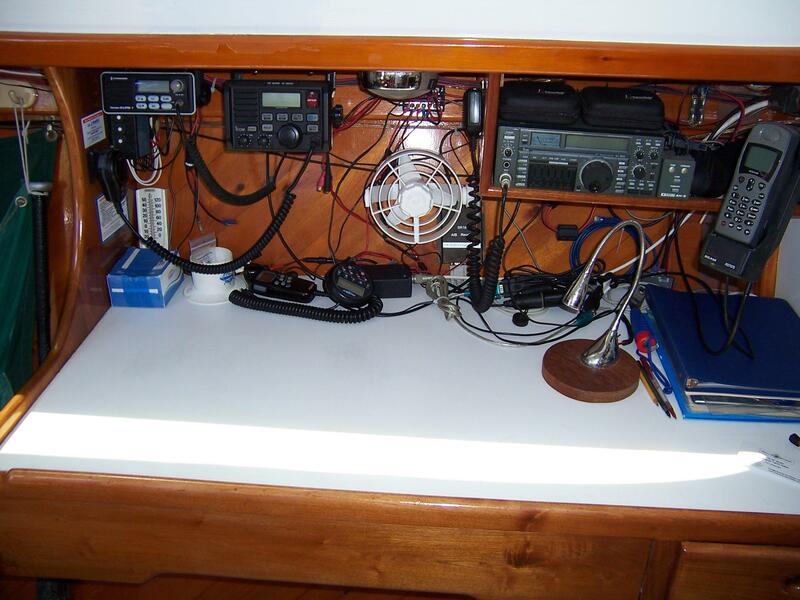 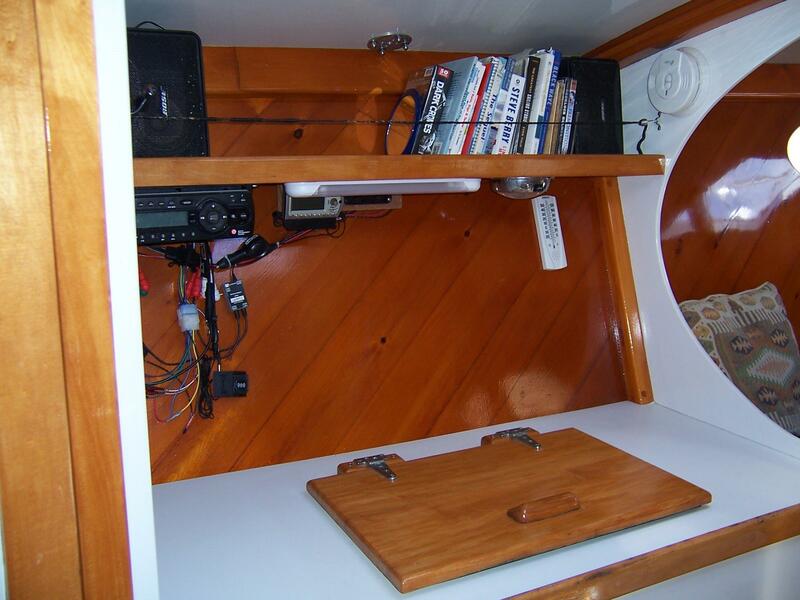 Entering the aft cabin through the aft crossbeam bulkhead, there is a navigation station on the port side equipped with a 50" x 25" varnished black walnut chart table with flat chart storage beneath. 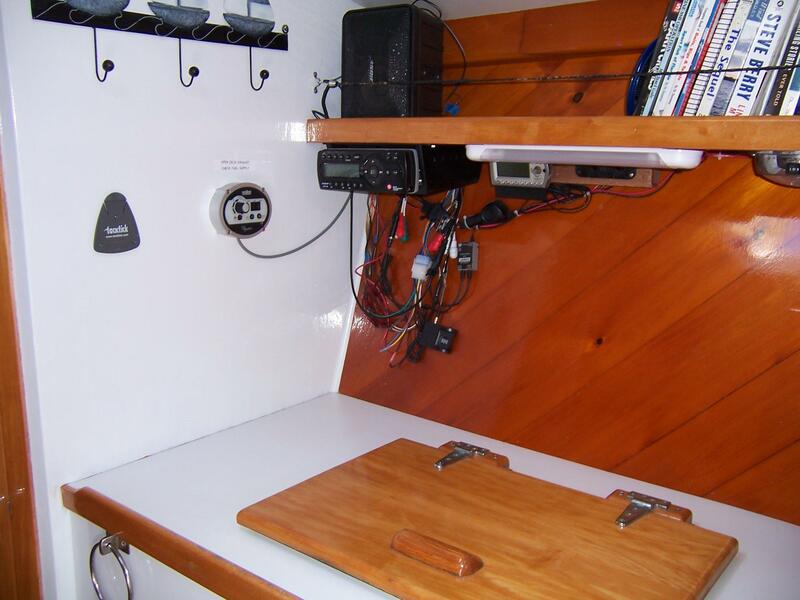 The electronics area is above the chart table. 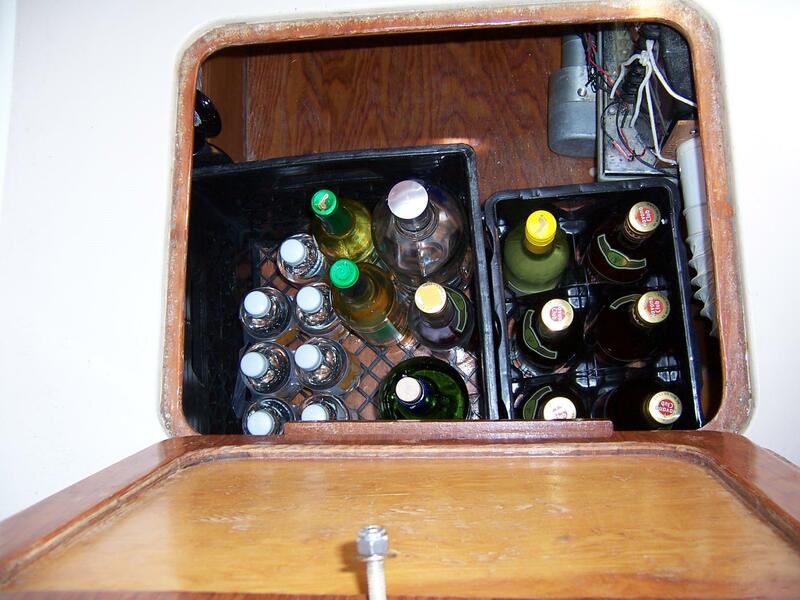 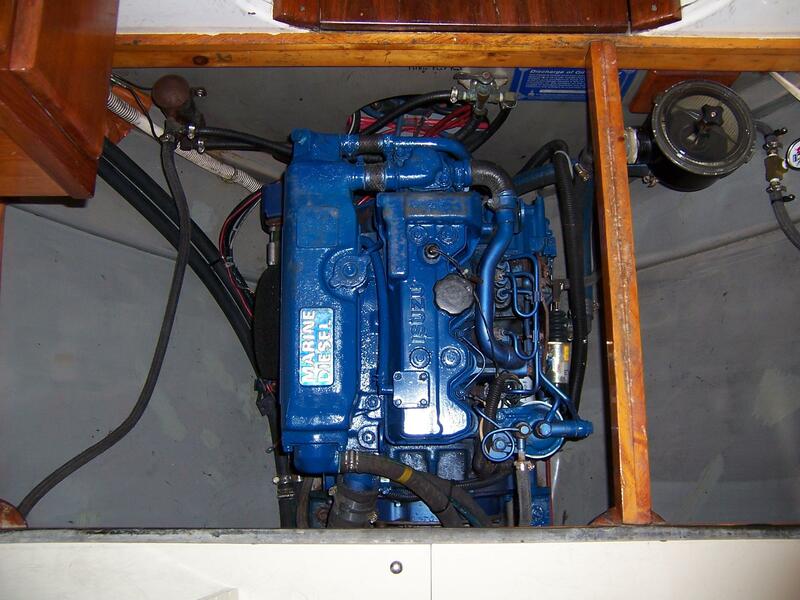 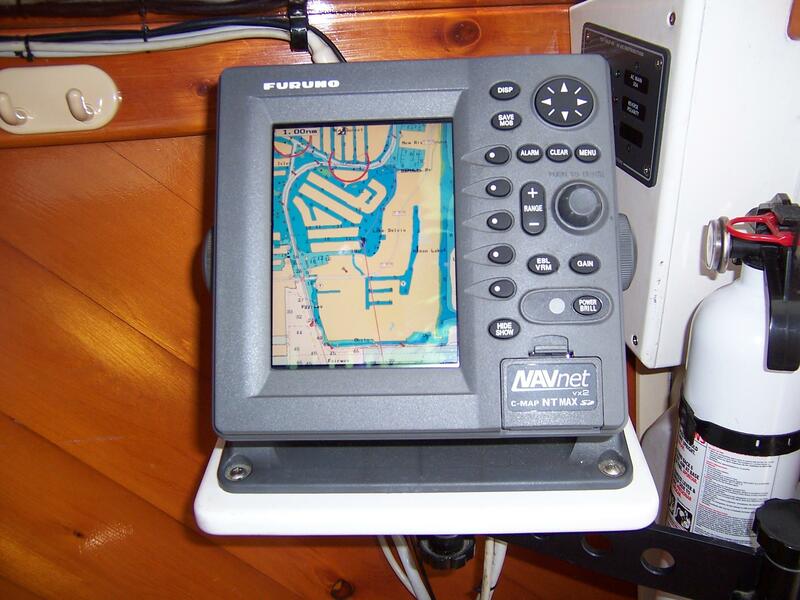 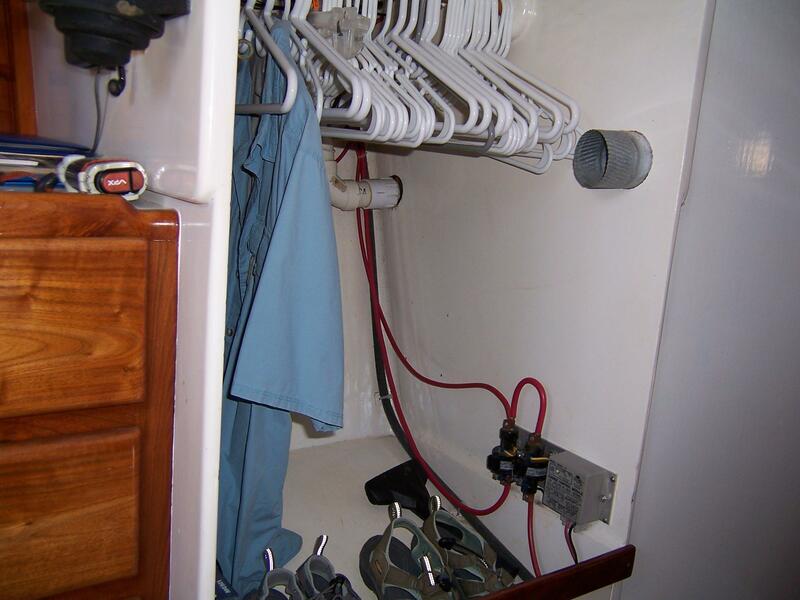 A wet gear locker is also located on the Port side. 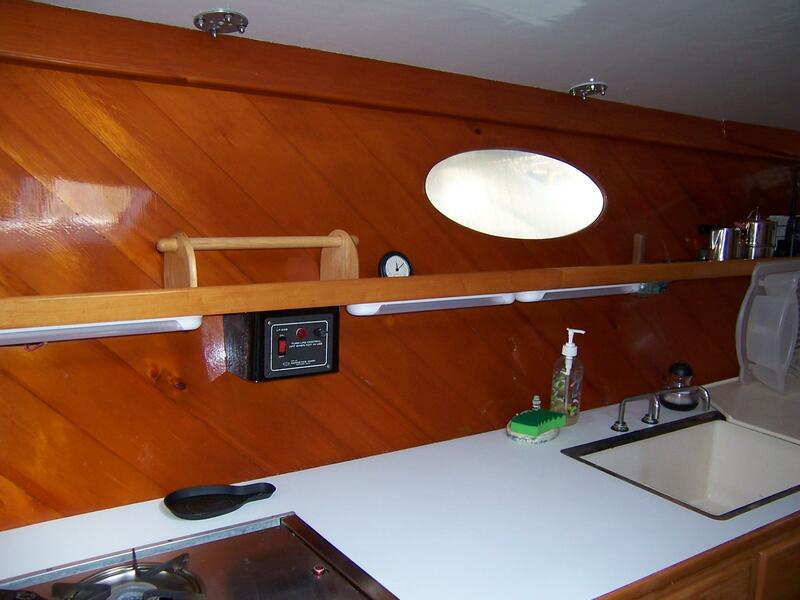 Large windows to port and starboard provide excellent visibility and light. 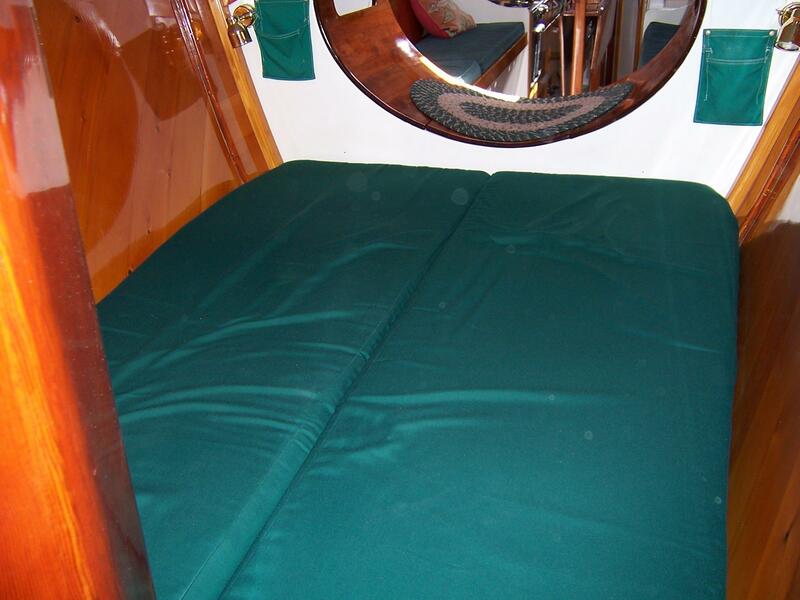 An aft double berth is located in the aft portion of the compartment. 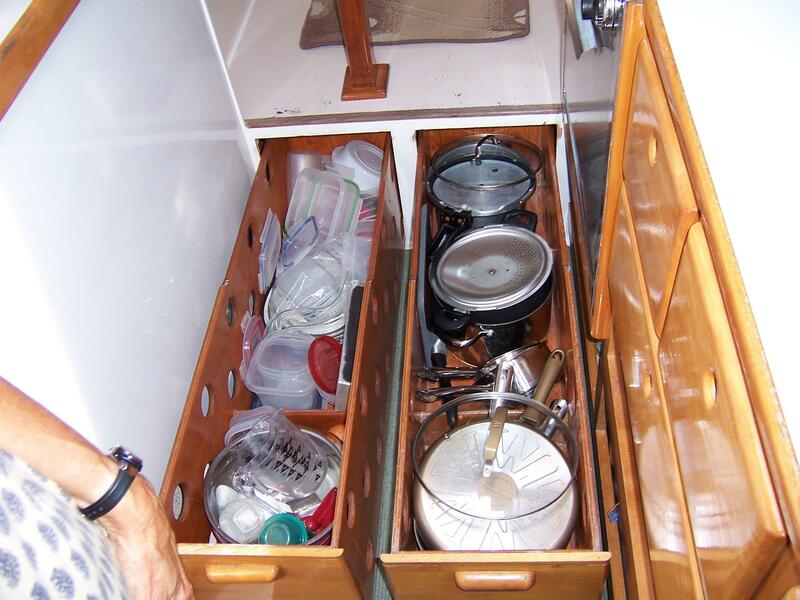 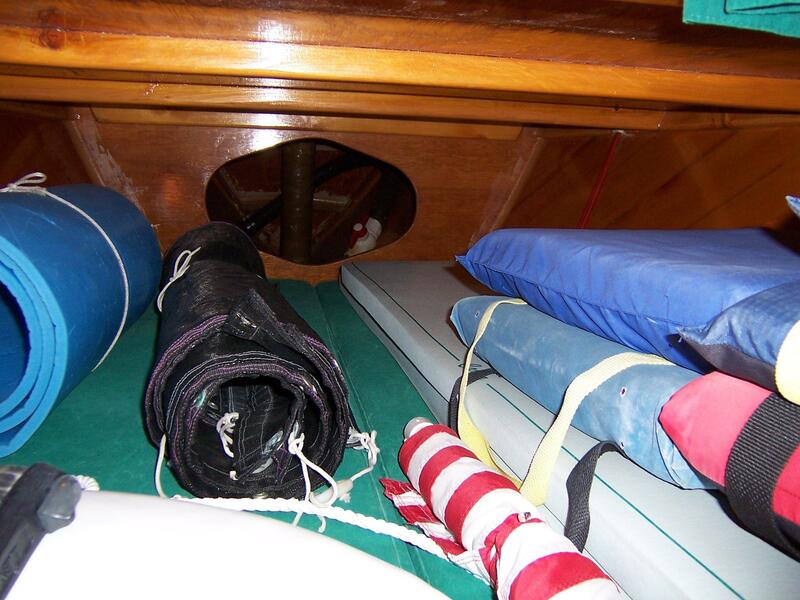 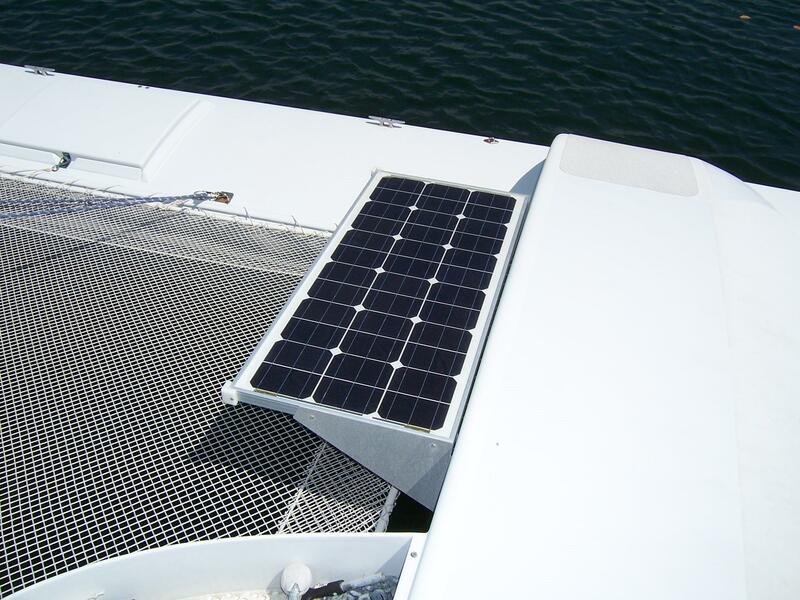 There is storage below and aft of the berth. 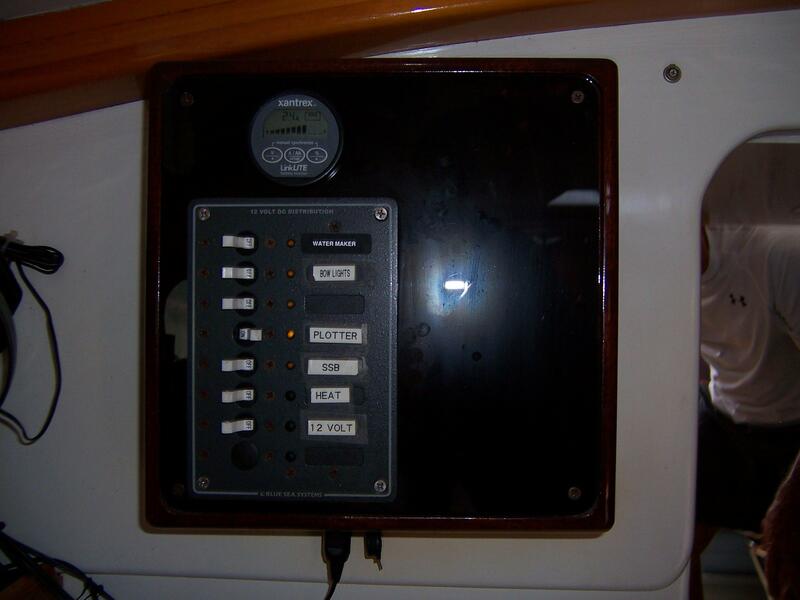 Two electric fans are provided in the aft berth area. 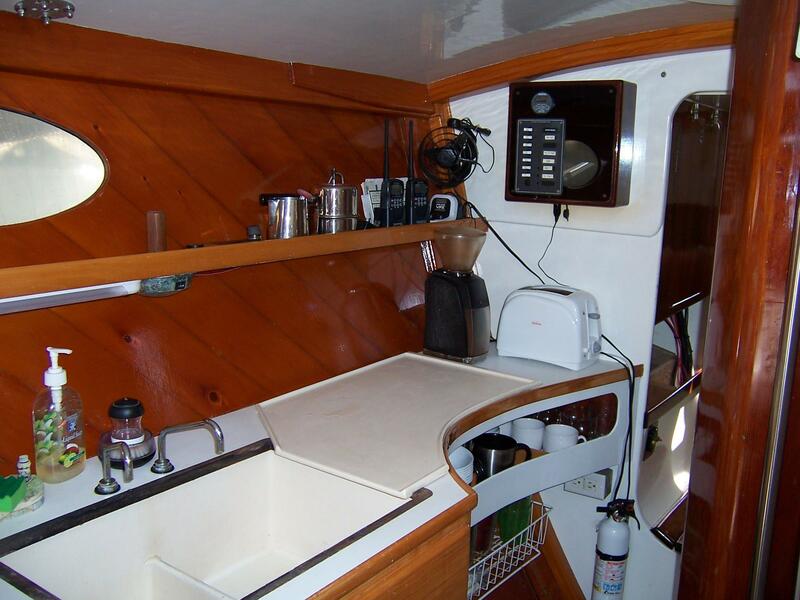 Next on both port and starboard sides is the galley. 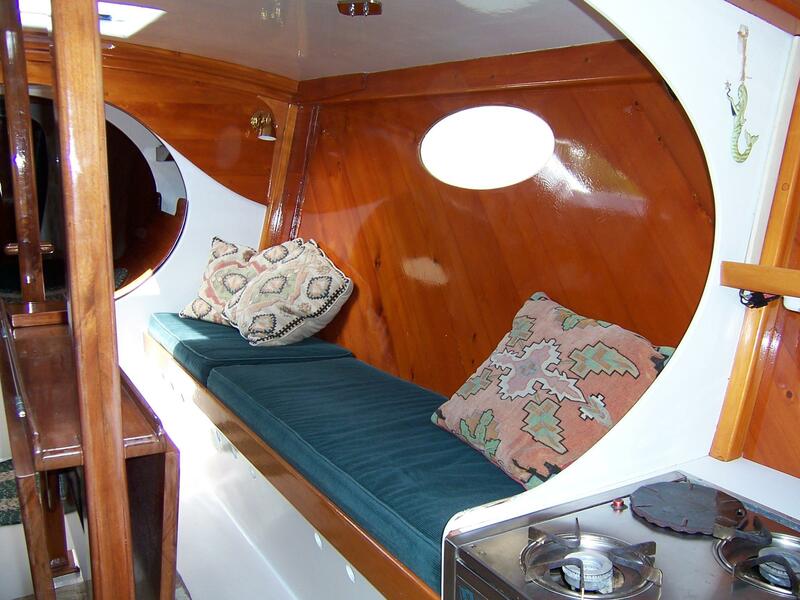 The aft port portion of this section houses the head compartment. 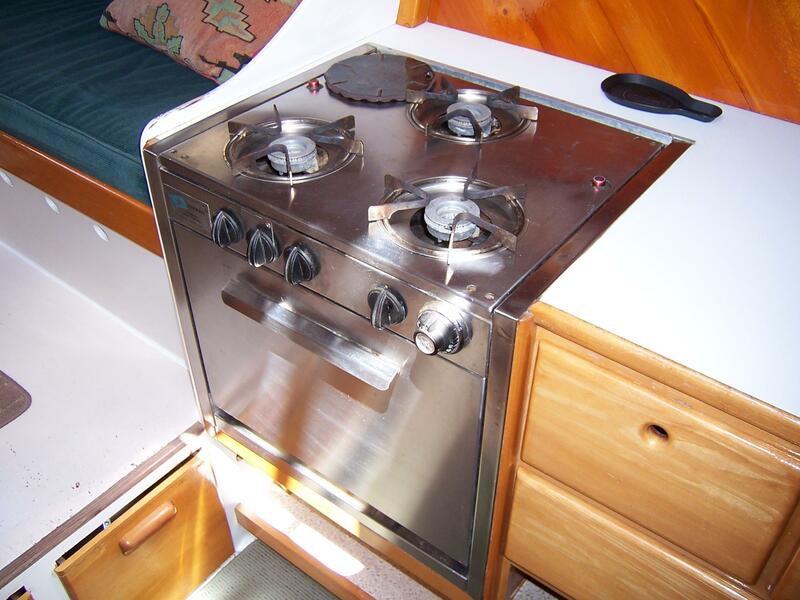 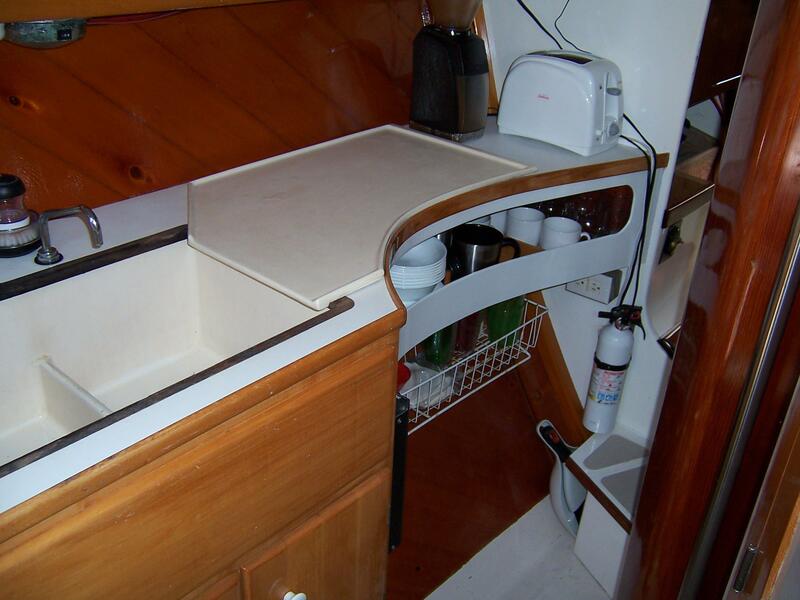 The head is fitted with a stainless steel sink, a vanity with laminate counter top and stowage under. 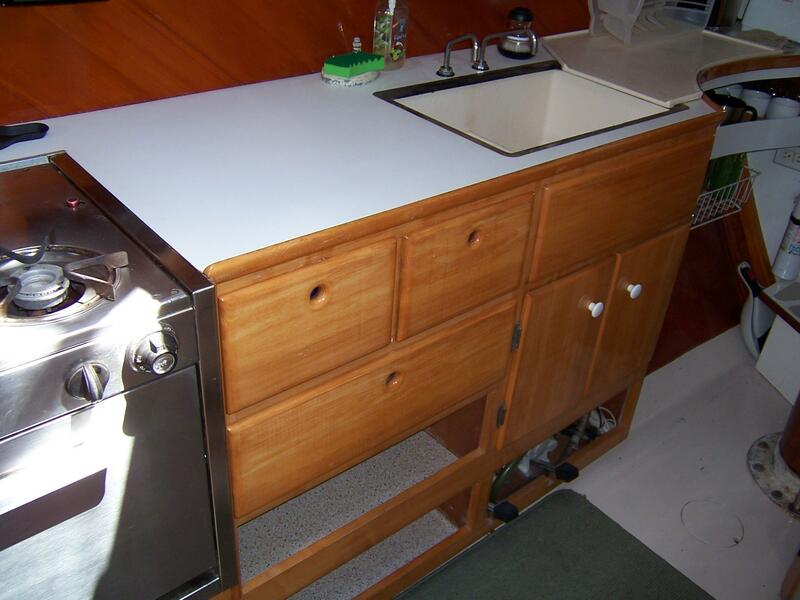 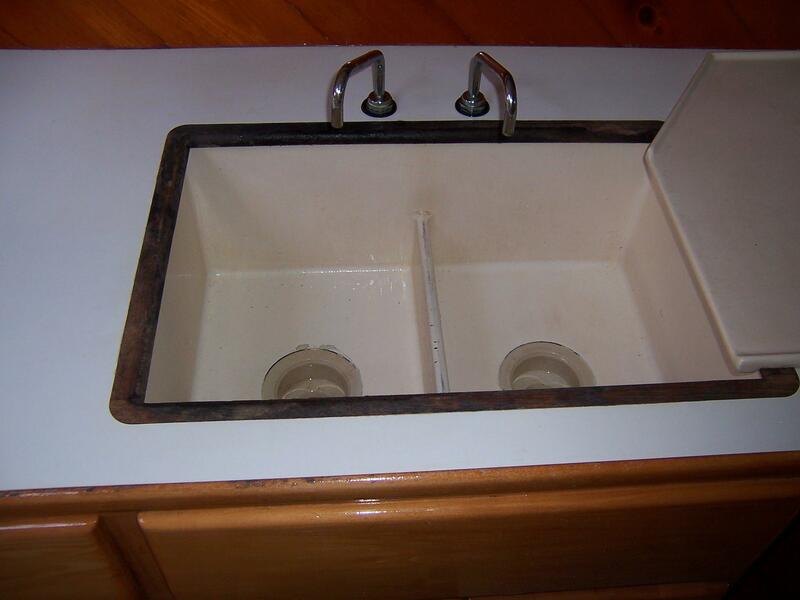 A mirror and cabinet are provided over the sink. 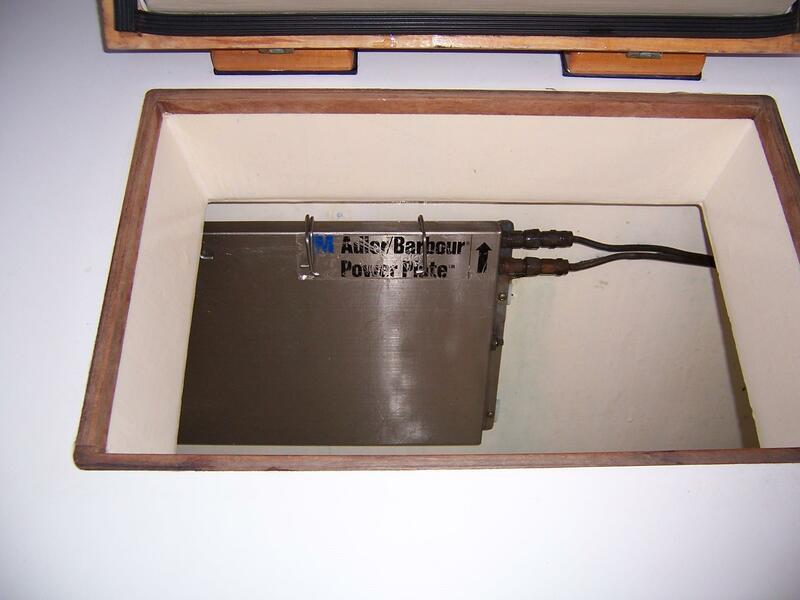 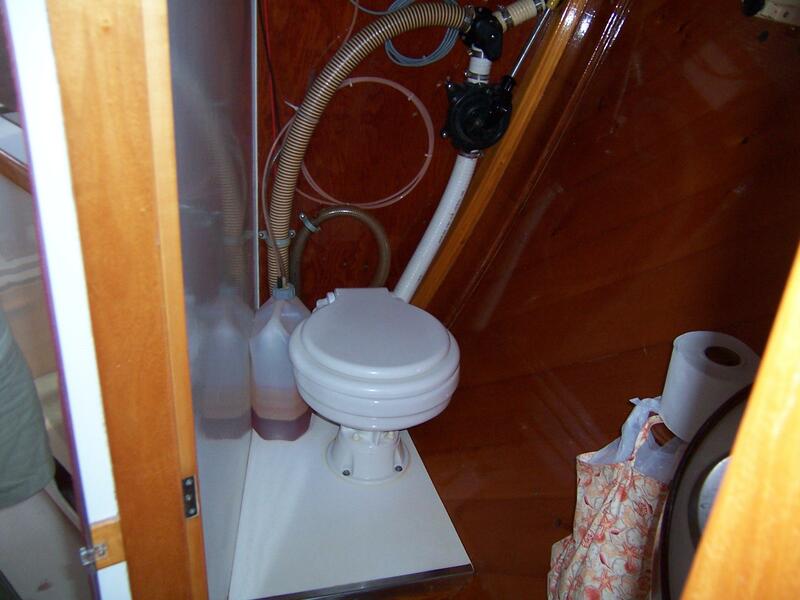 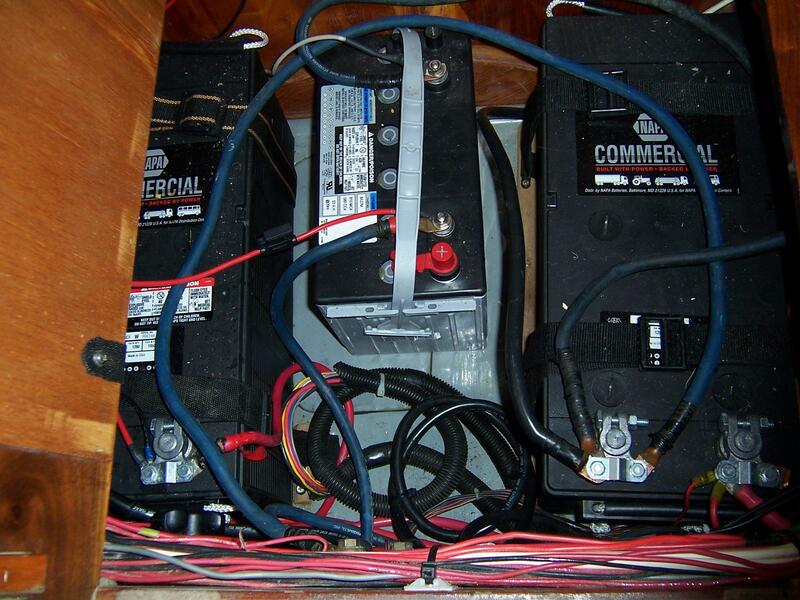 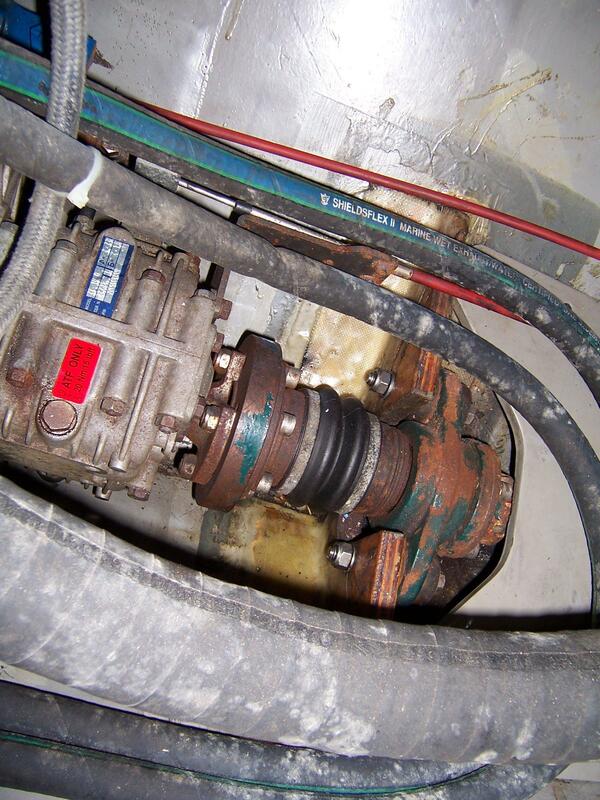 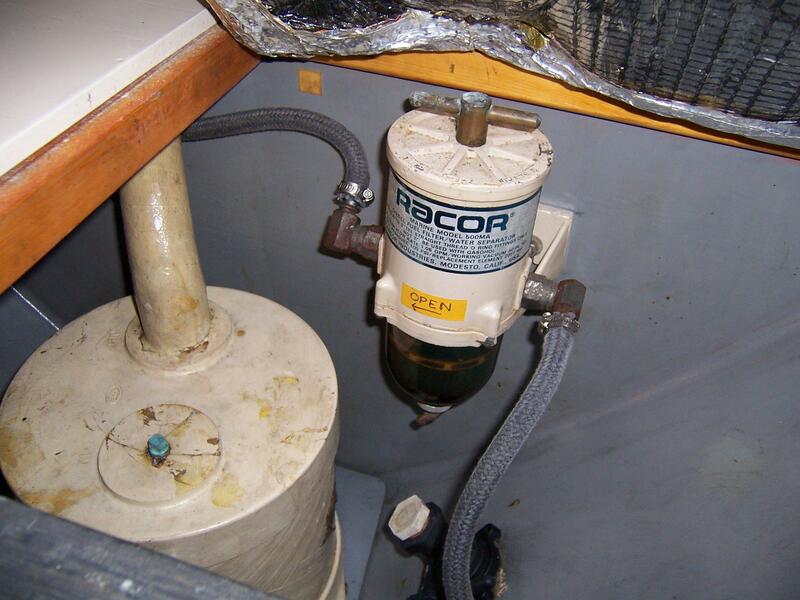 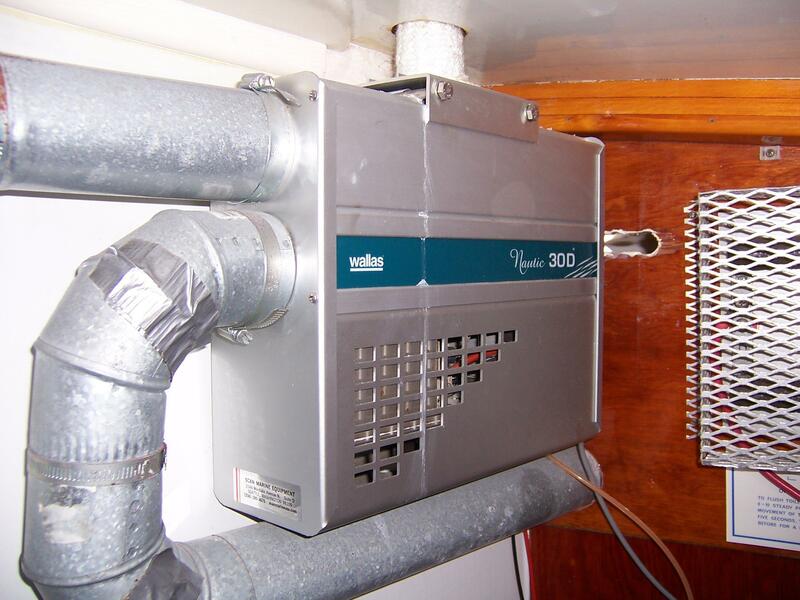 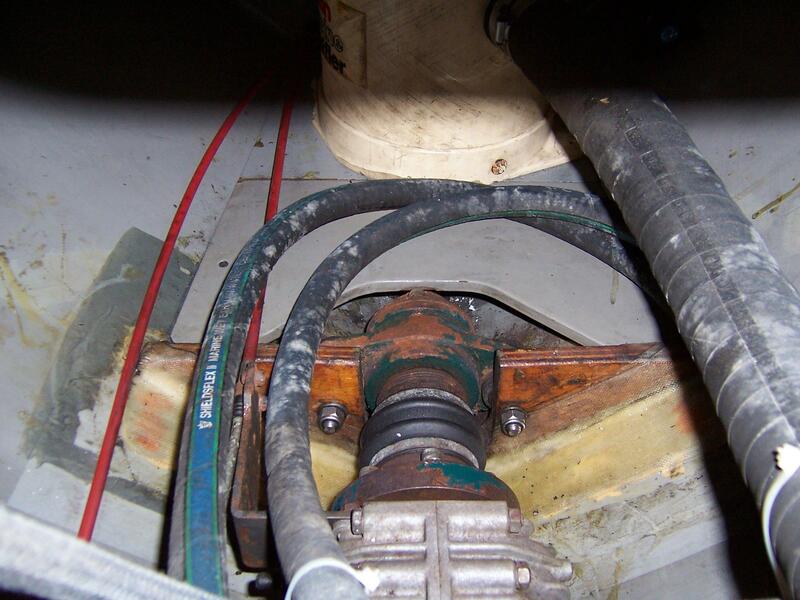 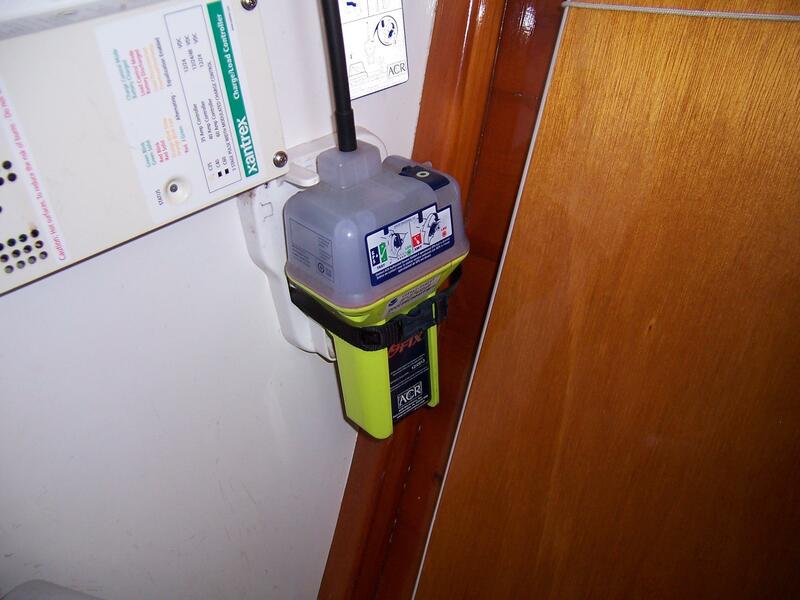 There is a manual marine head with "Y" valve for selectable discharge either overboard or to a 30 gallon holding tank. 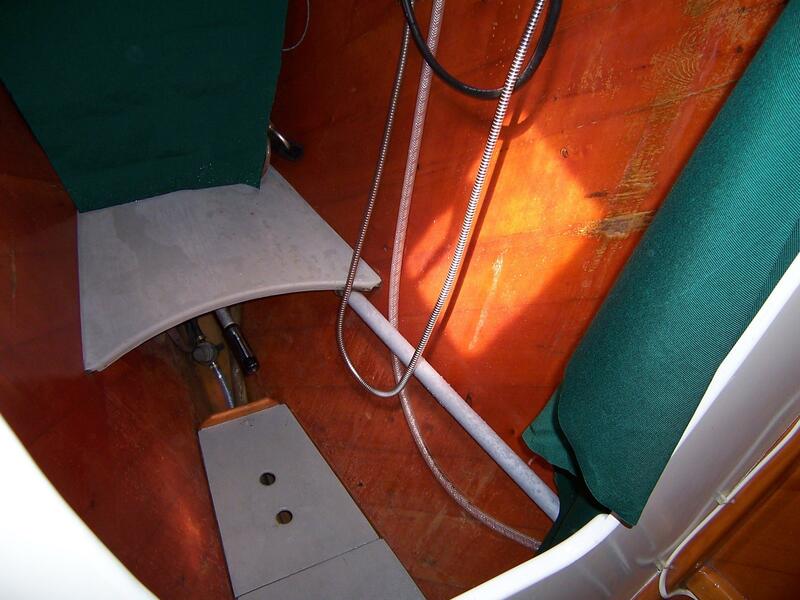 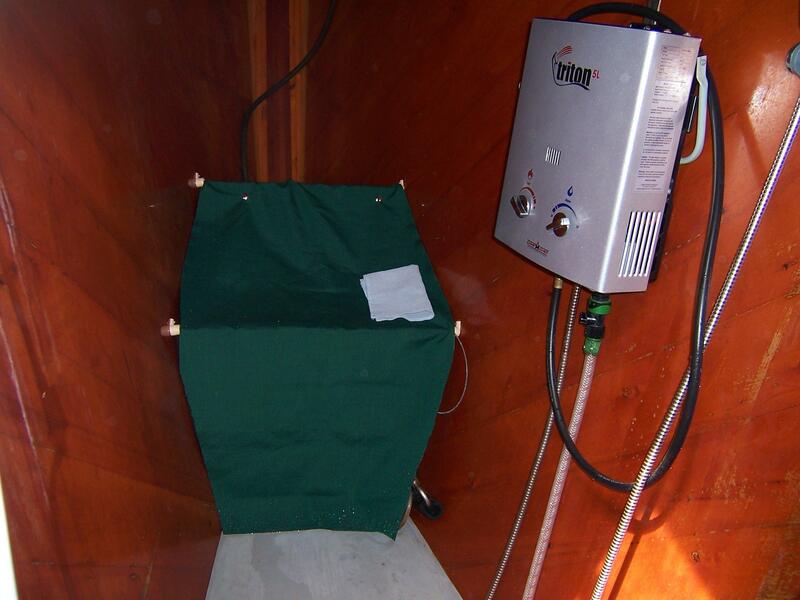 The holding tank is located in the aft portion of the port float, ensuring that no odor will reach the living area. 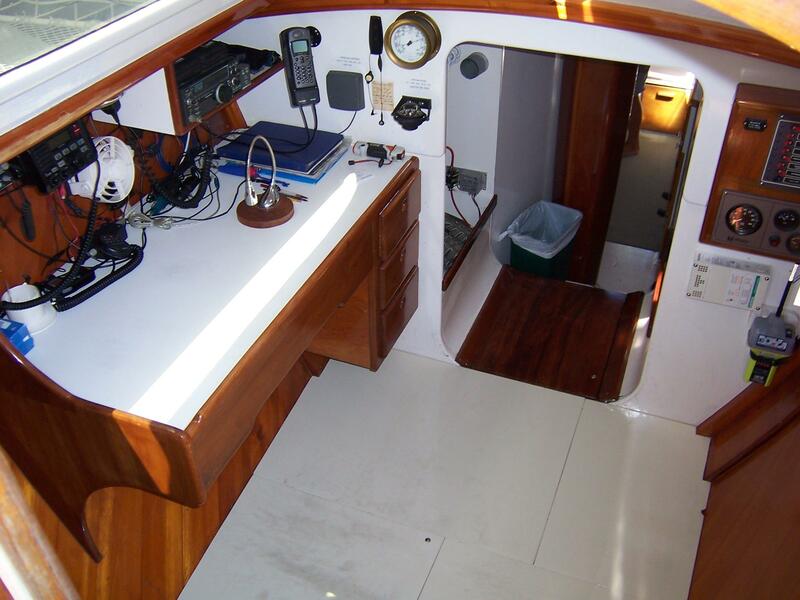 Next, through the forward crossbeam bulkhead is the salon/dinette area. 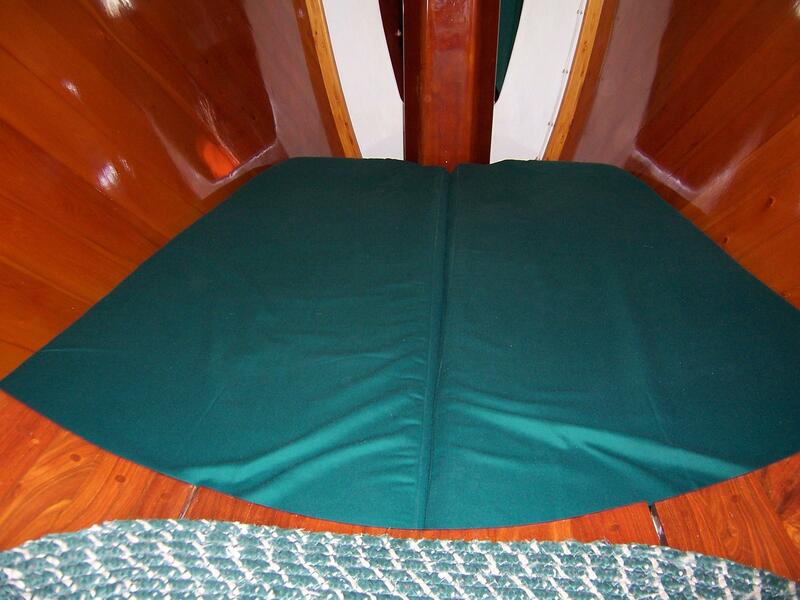 Settees are fitted on each side of a varnished black walnut drop leaf table. 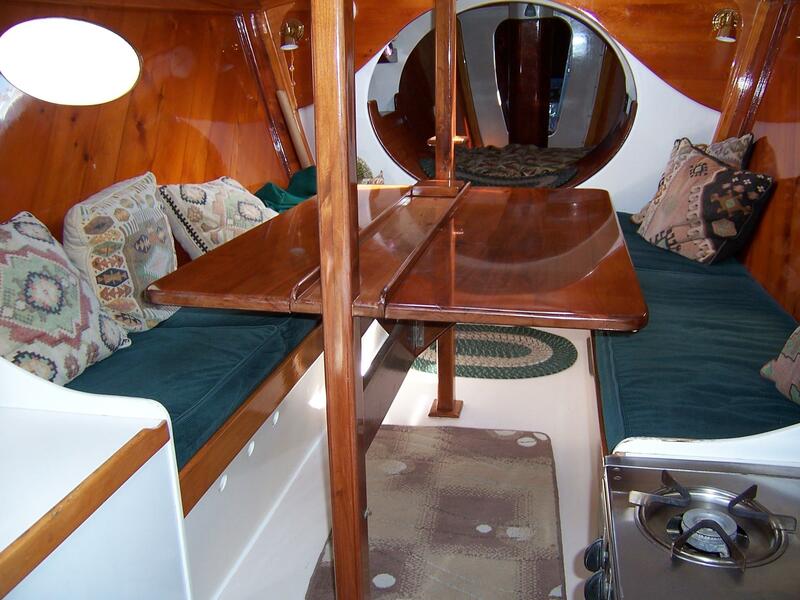 The settees are 7' long and also function as single berths. 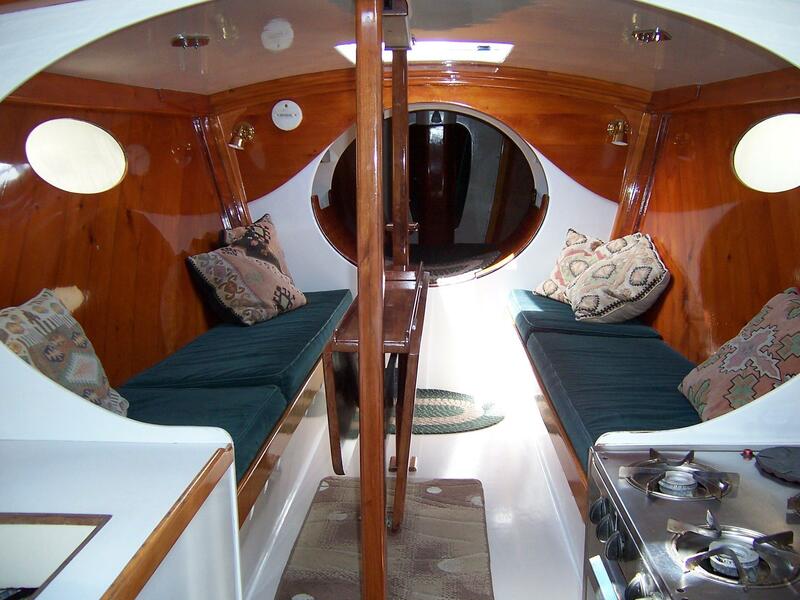 Ample stowage is provided beneath the seats and the cabin sole. 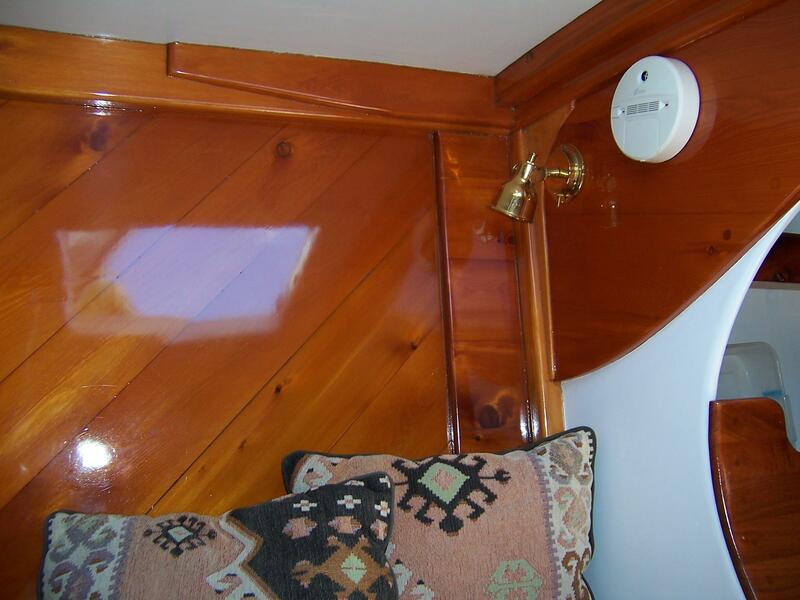 Next, forward of the salon area is the master cabin fitted with a 7’ long double berth with storage below, a large #10 hatch providing light and ventilation, (2) portlights, (2) reading lights, and fans. 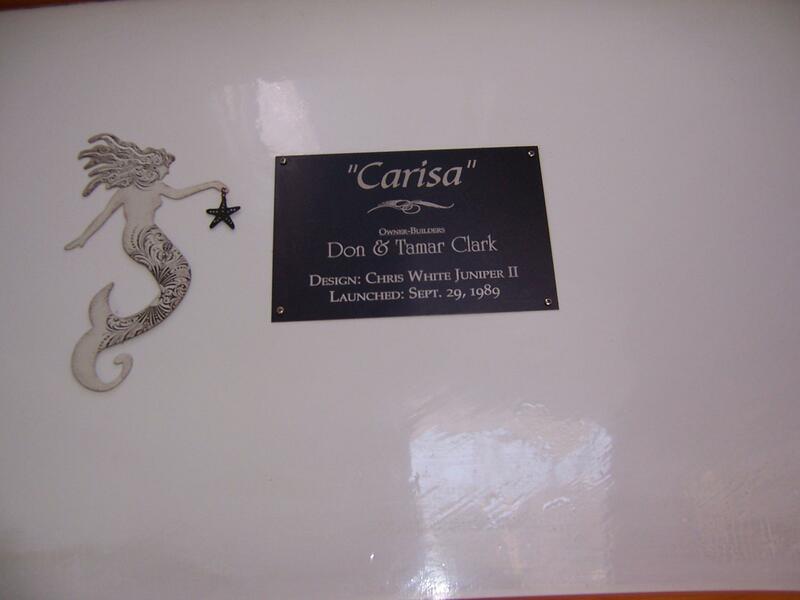 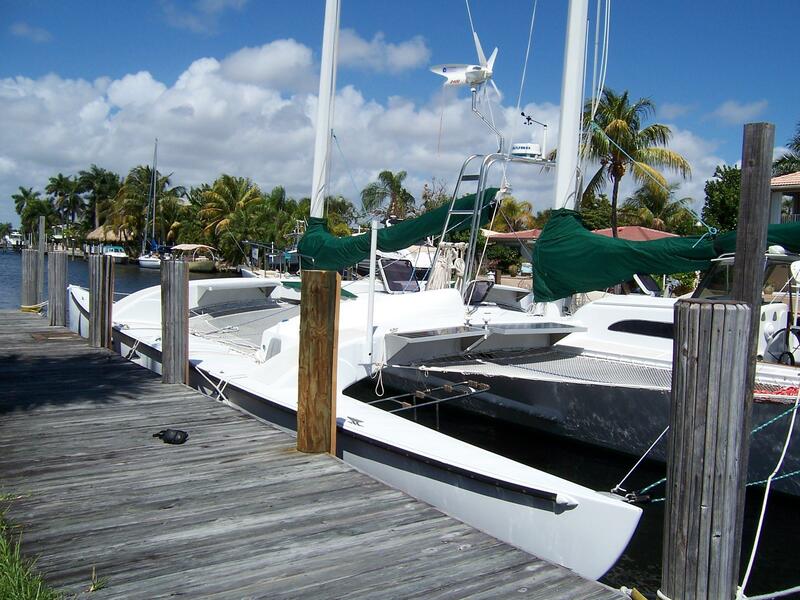 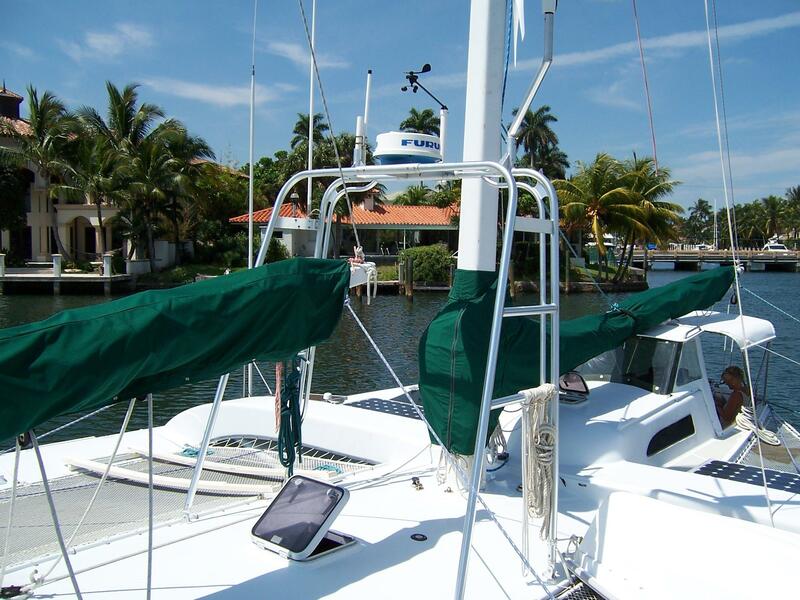 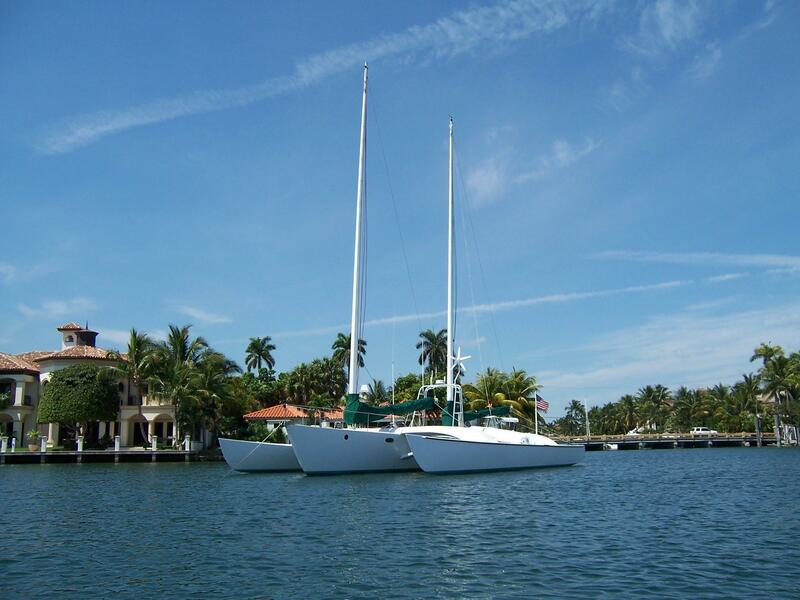 Carisa was sailed for 12 years by her owner/builders in the Gulf of Mexico and the western Caribbean. 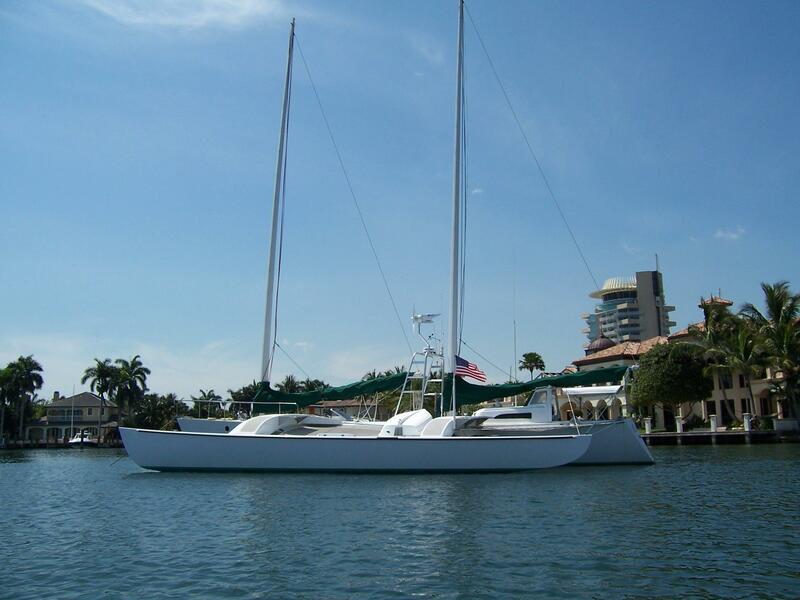 They sailed her 6 months out of the year from their home in Tallahassee, FL. 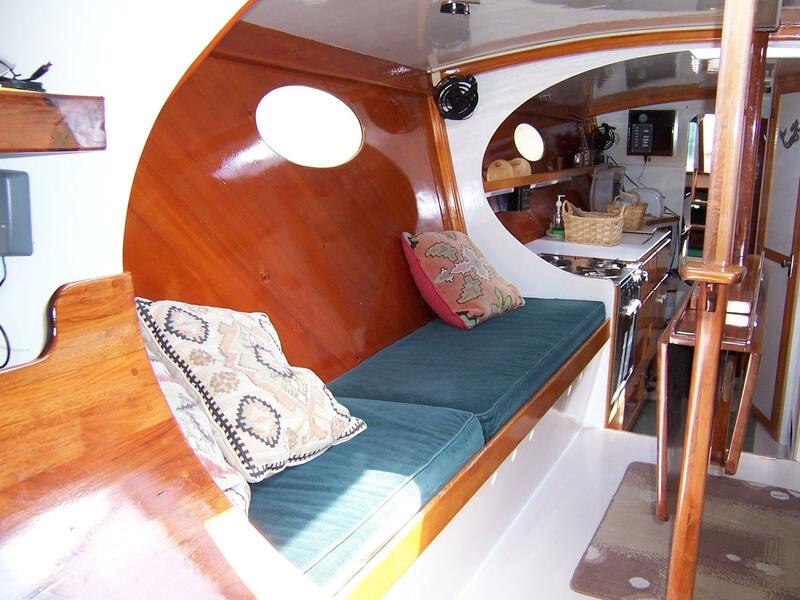 The second owner brought her north to Narraganset Bay, RI. 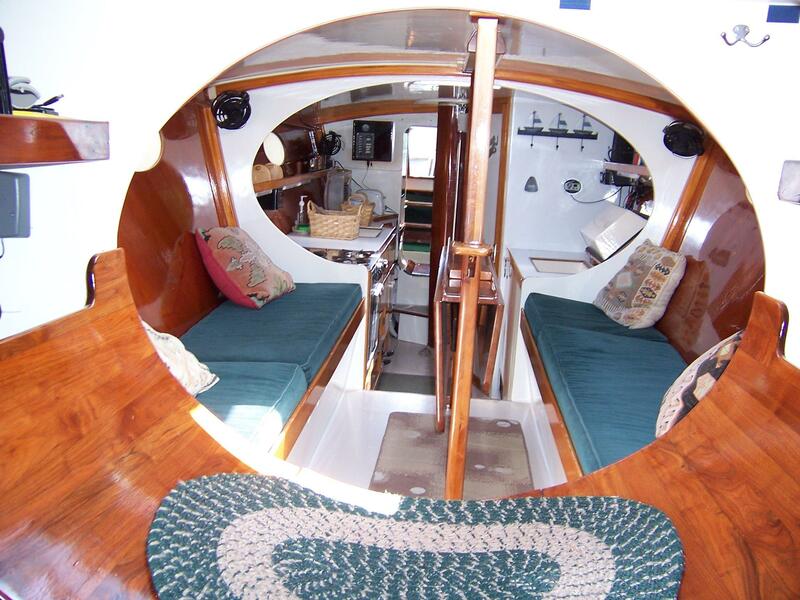 He sailed her there for 6 years and took two trips north to Maine. 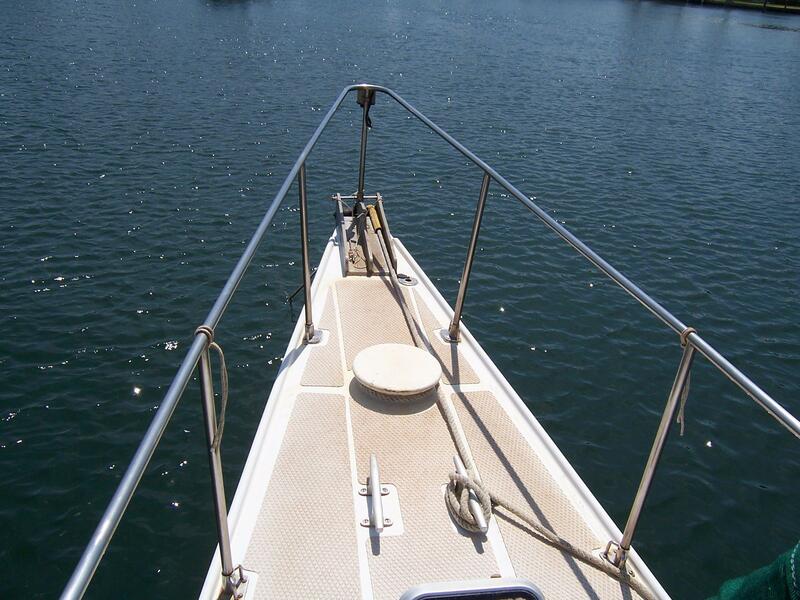 He day-sailed and the two summer vacations to Maine. 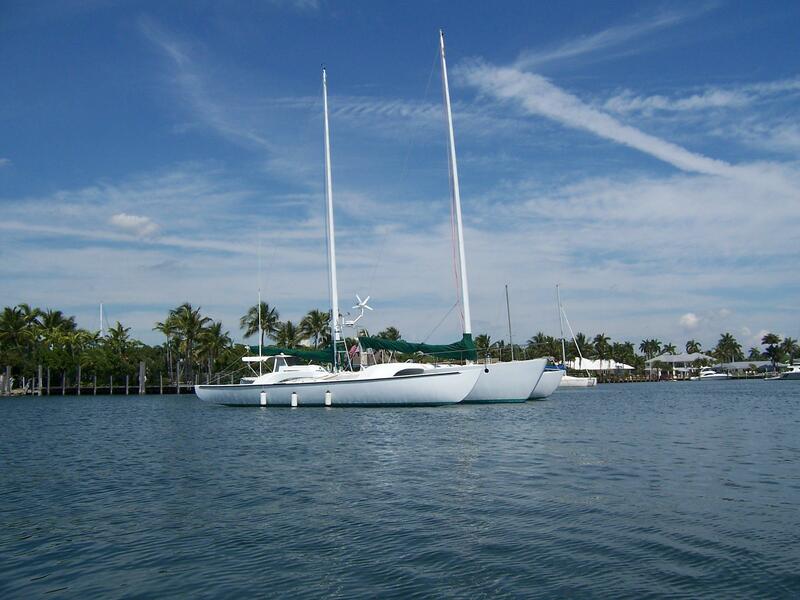 We have owned Carisa for 9 years, having purchased her in Newport, RI and sailed her down the coast to Florida. 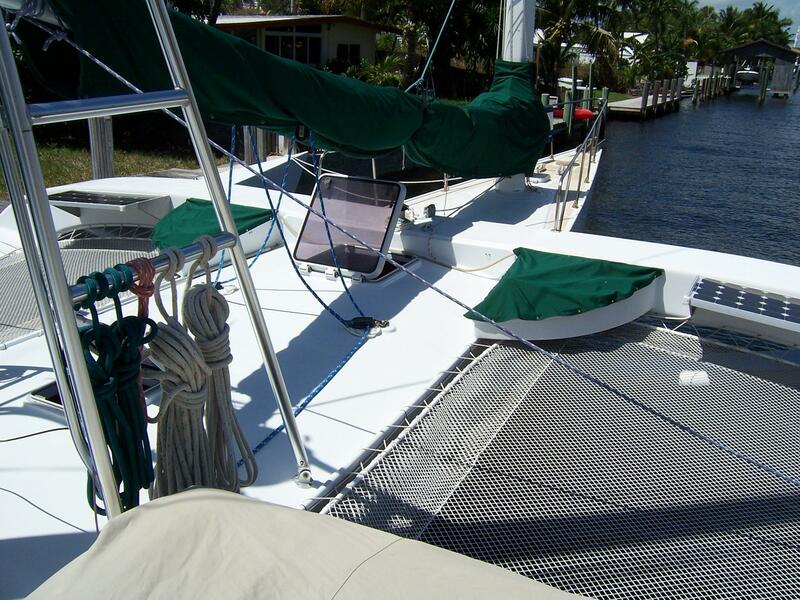 We kept her in Fernandina Beach. 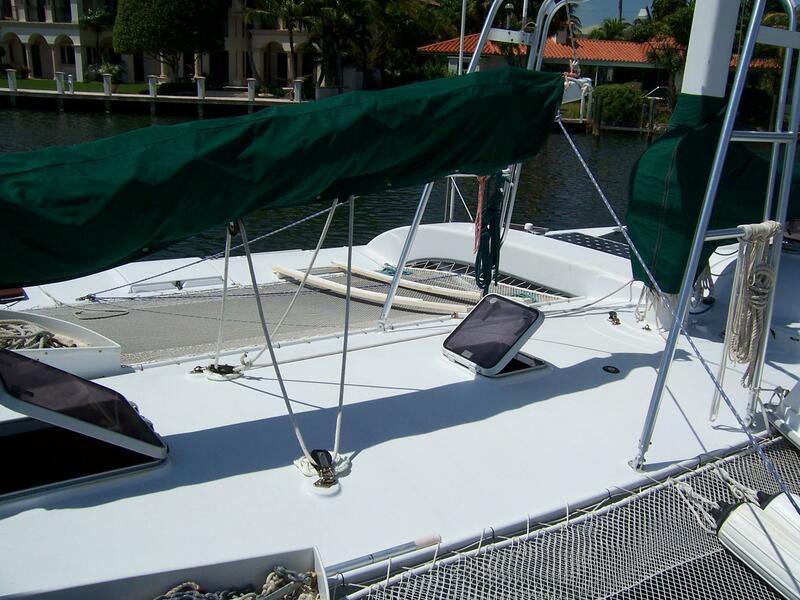 FL for 3 years and sailed her to the Bahamas twice a year for 2 months and 3 months. 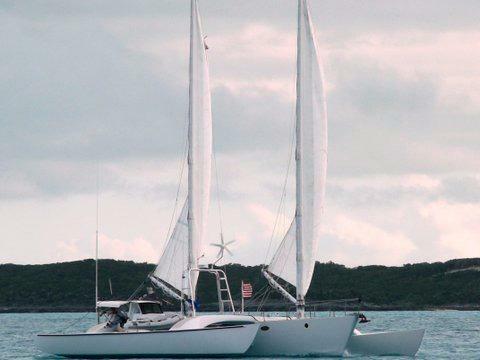 After that we kept her in George Town, Great Exuma, Bahamas for 4 years; sailing her 4 -5 months a year. 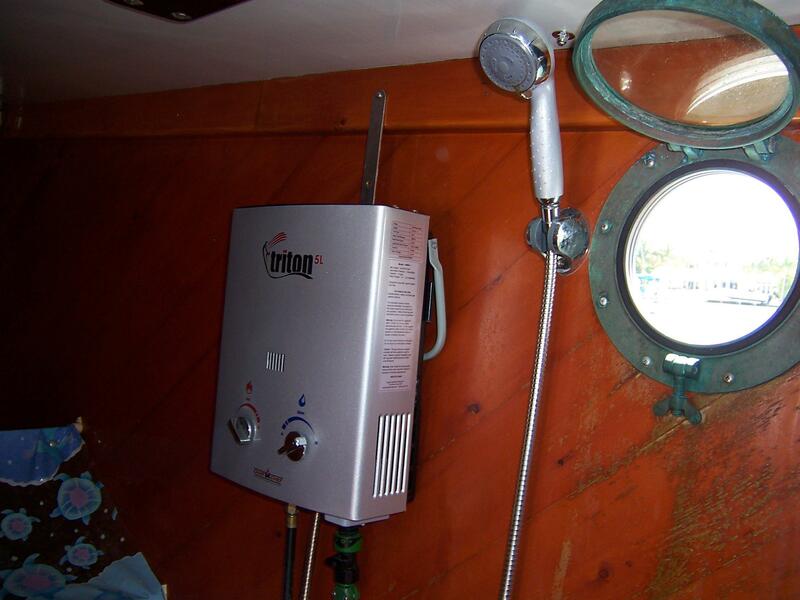 That brings us to the present. 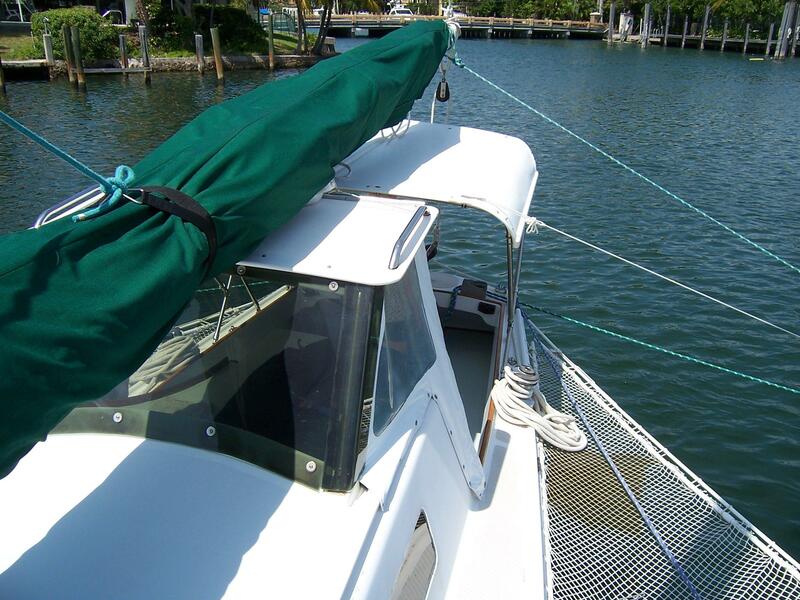 The sail plan is wonderful! 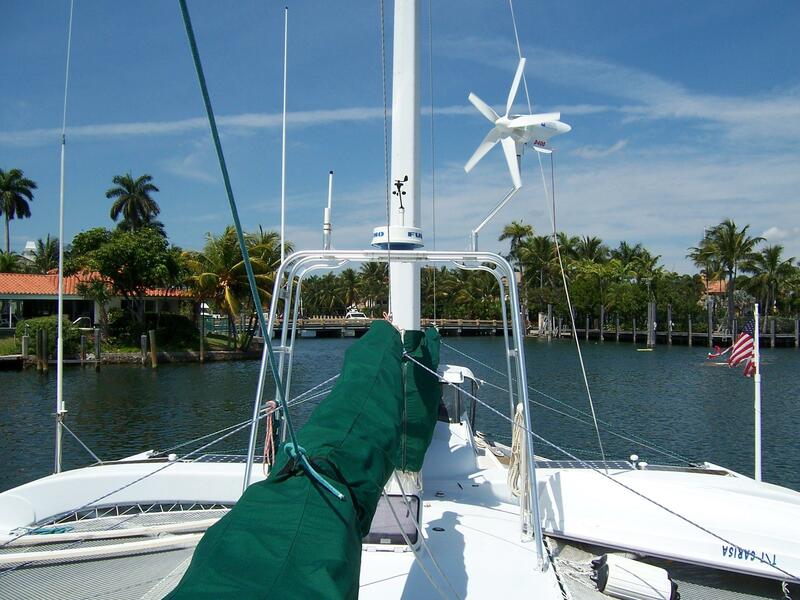 There is plenty of sail area and they really power up when the wind blows. 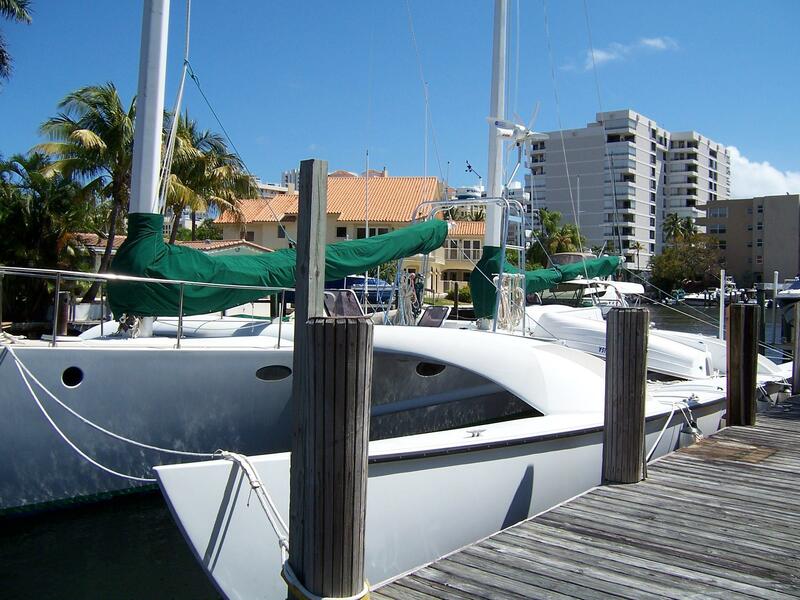 The obvious difference is "no jibs"! 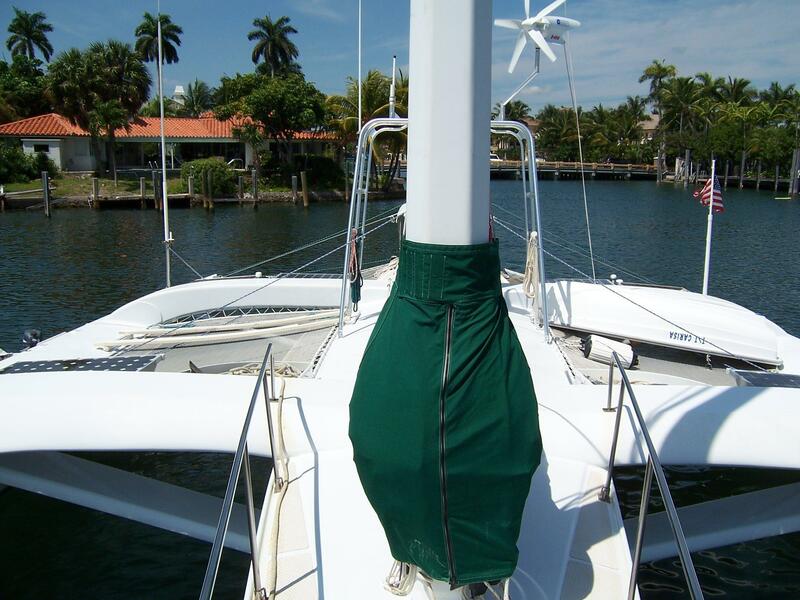 Setting the loose-footed mainsails is accomplished with vangs set well outboard to provide good leverage for the full range of the boom. 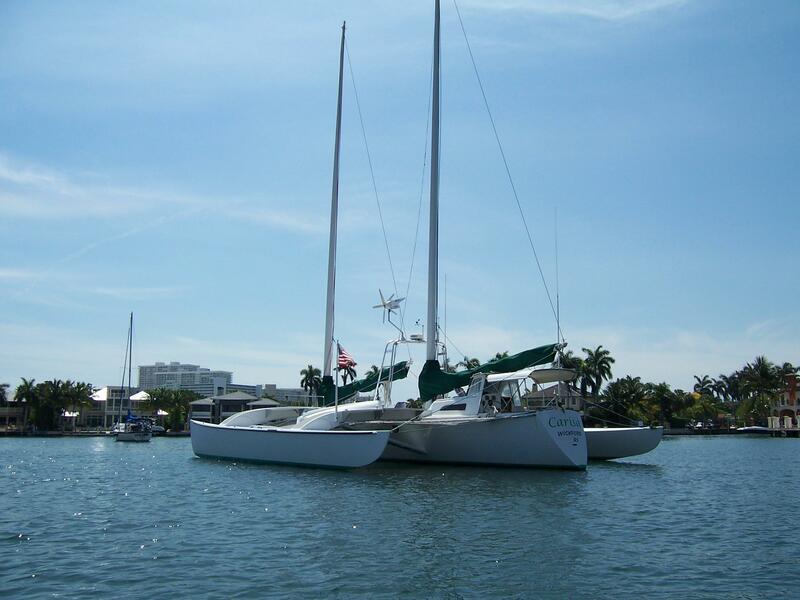 Carisa easily sails 9-10 knots with wind speeds of 15-16 knots. 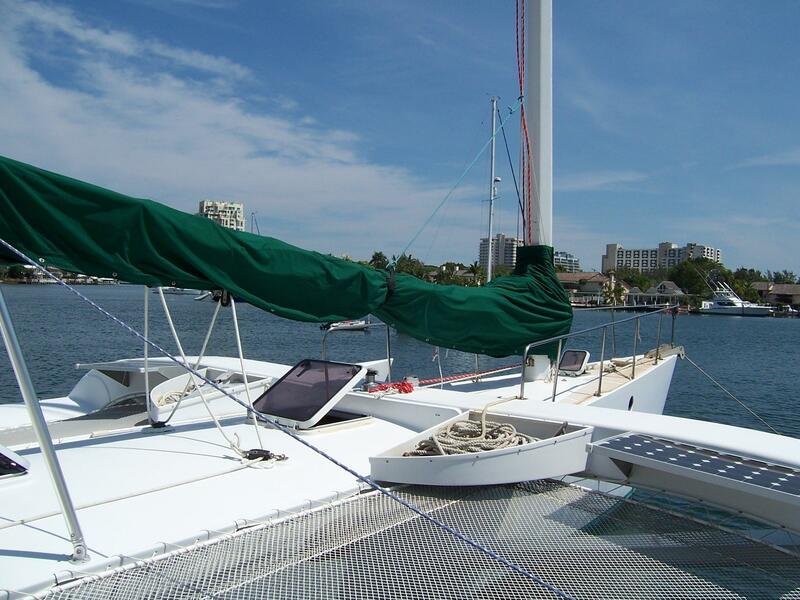 With decent sail conditions she will easily make 200+ mile days. 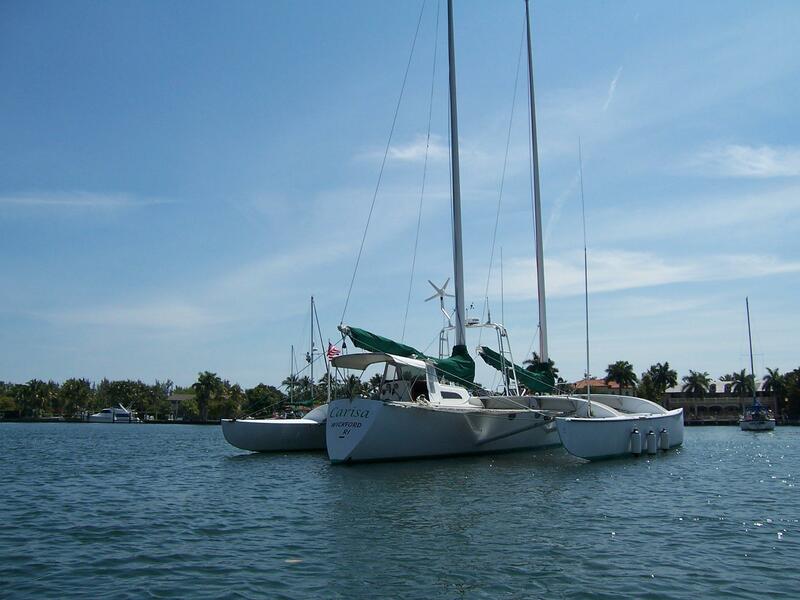 In a flotilla she will out sail every boat except performance catamarans and 65'+ racing mono-hulls.